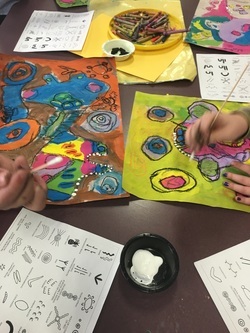 2nd graders enjoyed discussing Australia and it's native people, the Aboriginals. 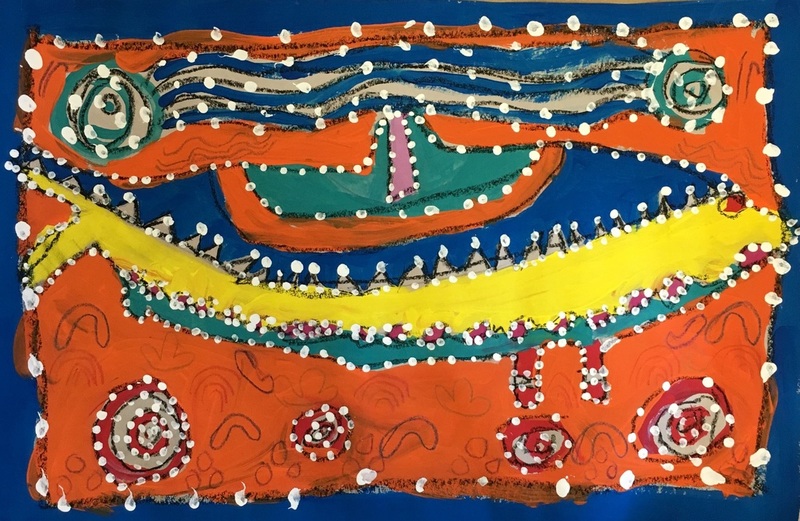 We looked at a variety of Aboriginal Dot Paintings and found animals and symbols inside them. 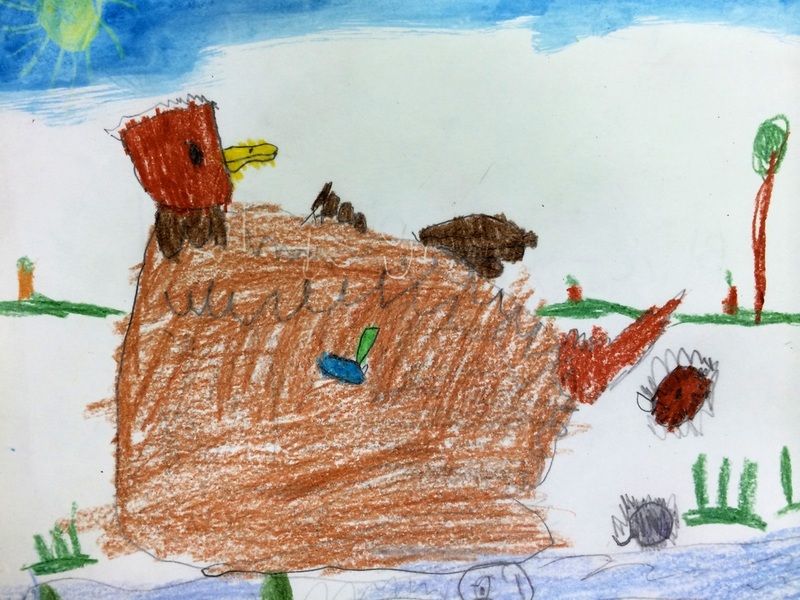 Then we looked at pictures of animals that live in Australia such as Koalas, dingos, crocodile, porcupines and many more. 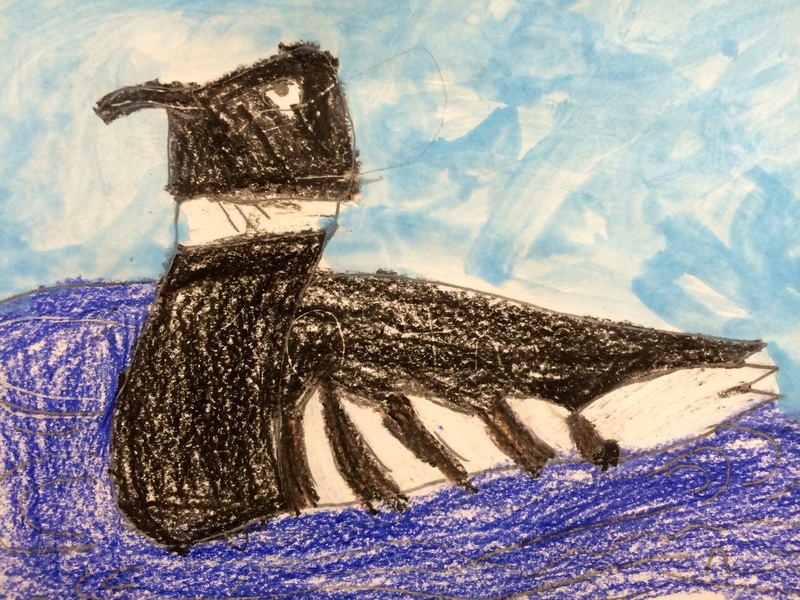 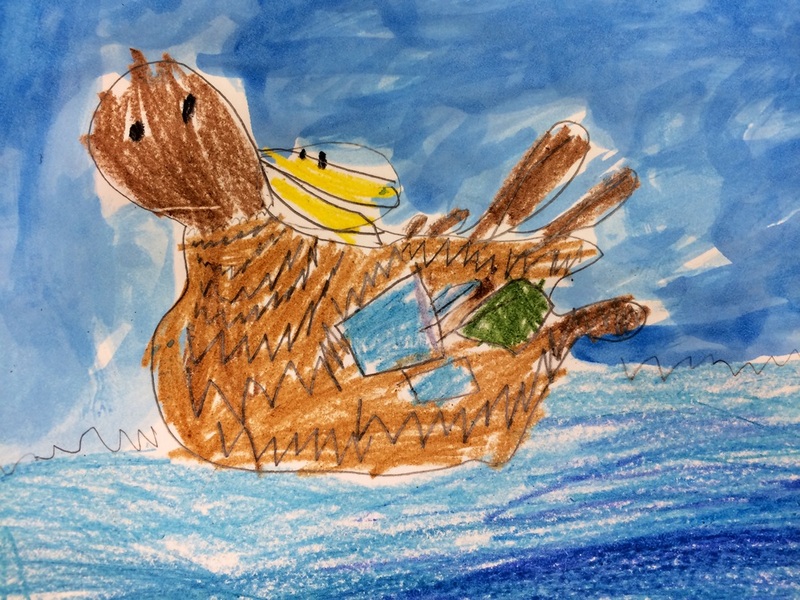 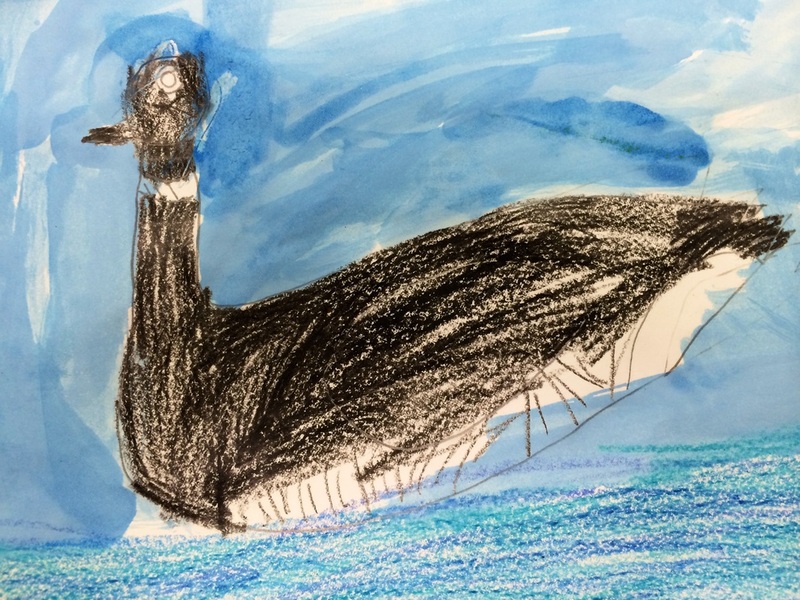 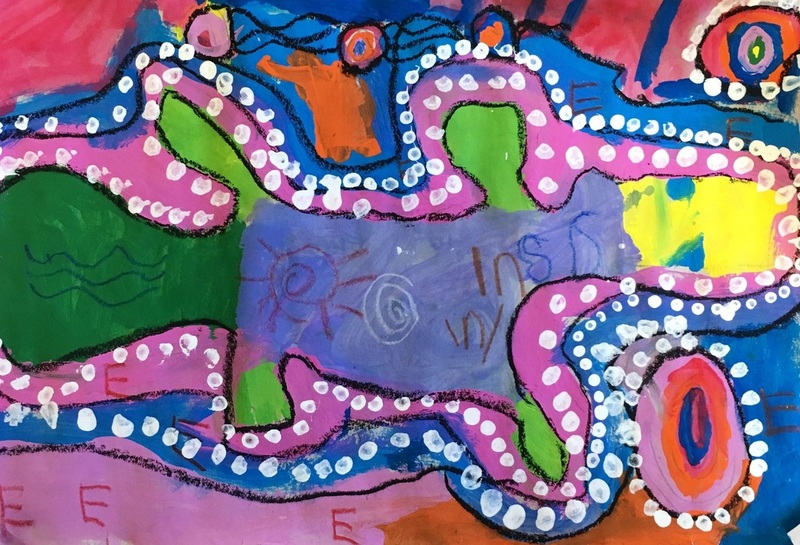 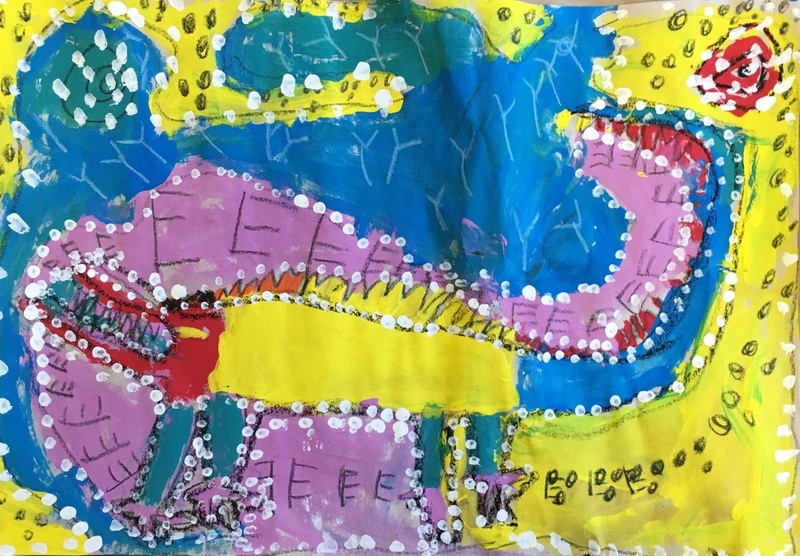 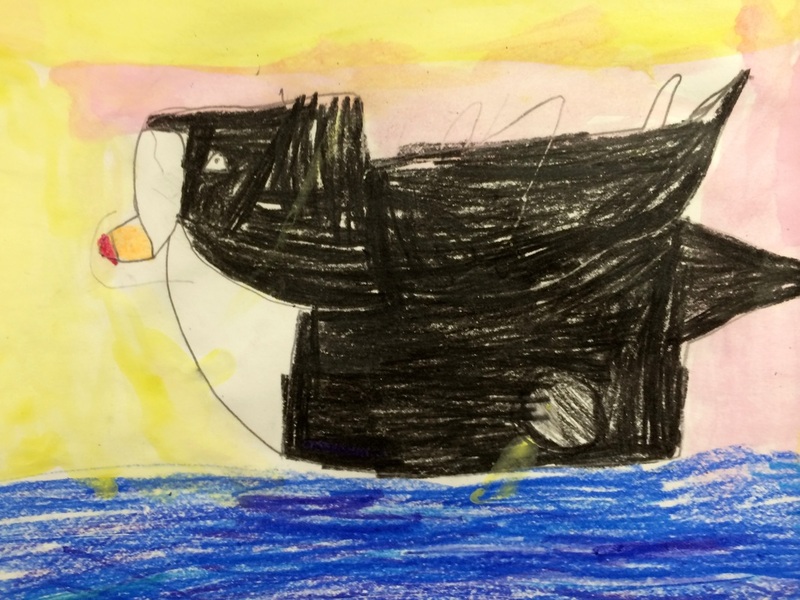 After the children choose an Australian animal and started with a sketch, the next art class 2nd graders began to paint in the animal and background all while listening to the musical sounds of the didgerdoo. 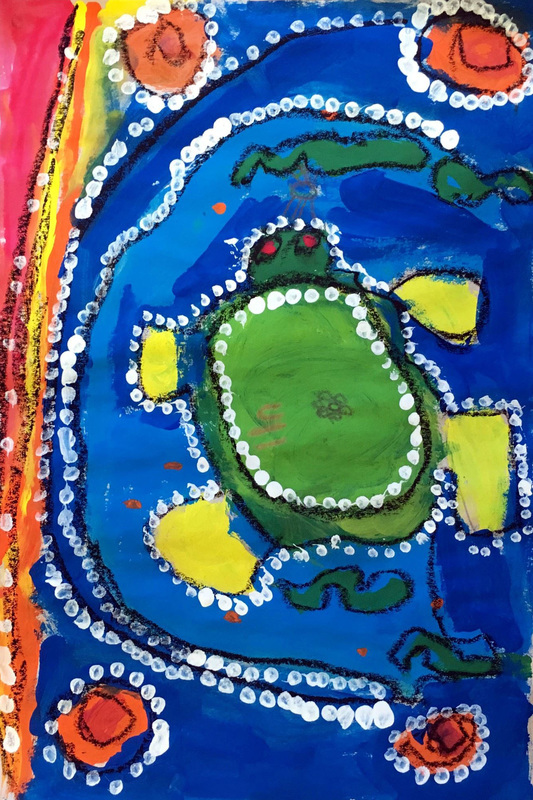 We looked at and talked about different aboriginal symbols, their meanings and added them to our art work to tell more of a story. 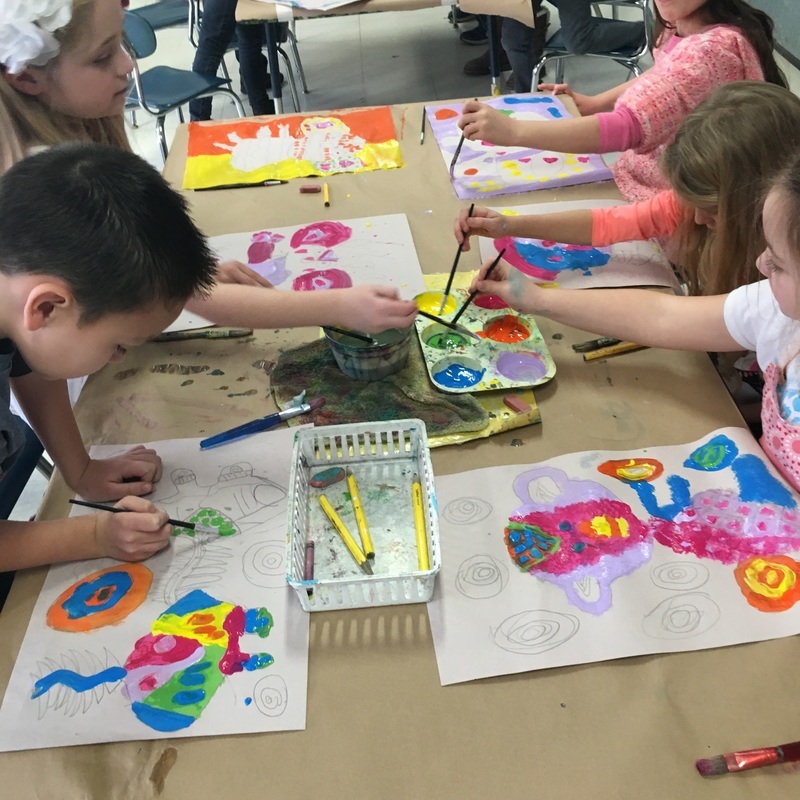 The last step of this Art lesson was to add the dots. 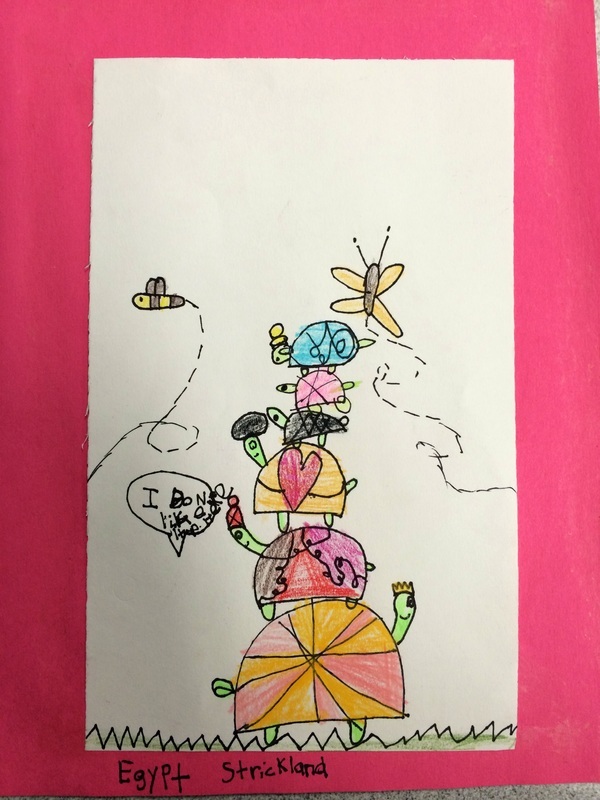 It was fun to explore another culture and Art style, of course the 2nd graders work is outstanding! 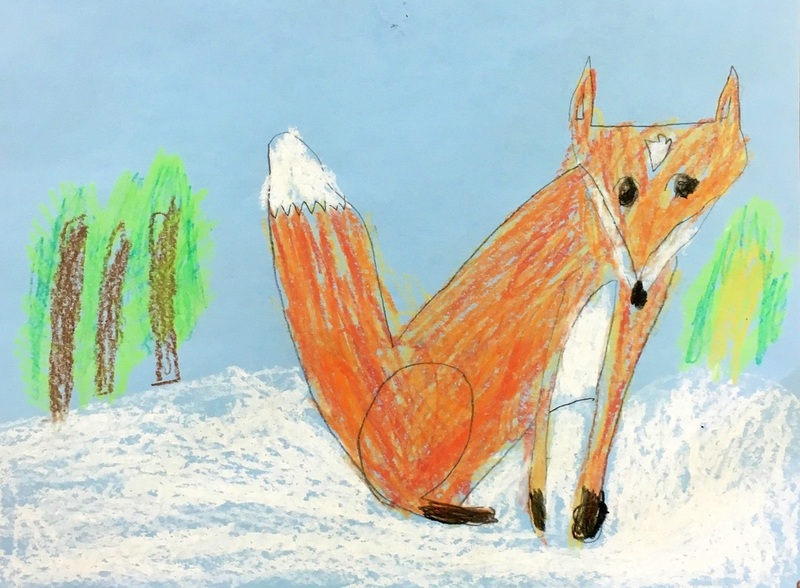 Observing and drawing the details of a red fox in it's natural environment. 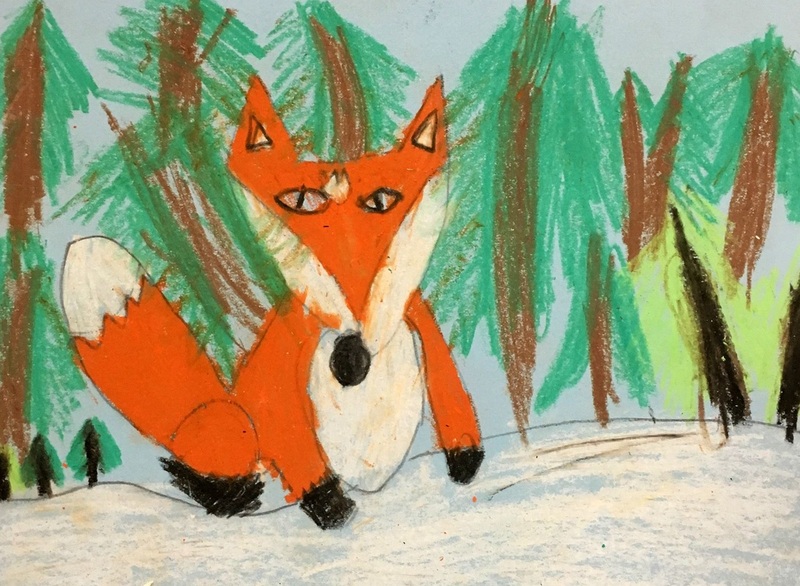 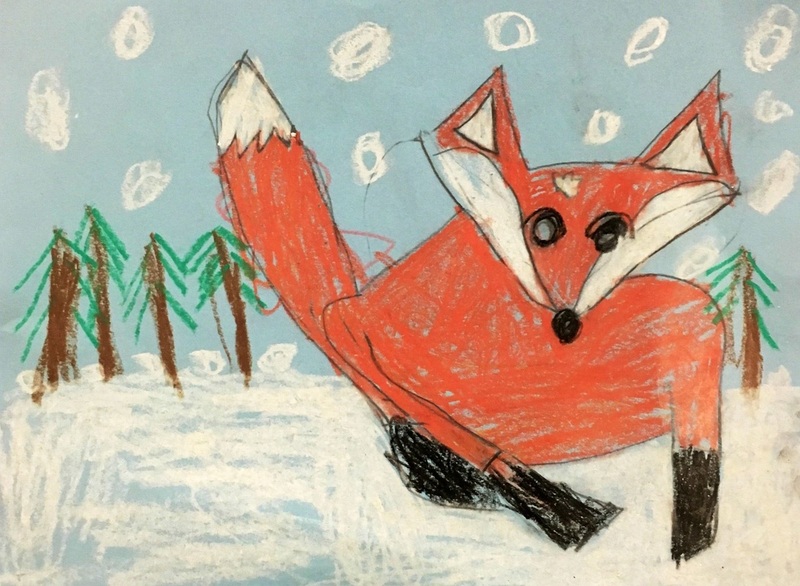 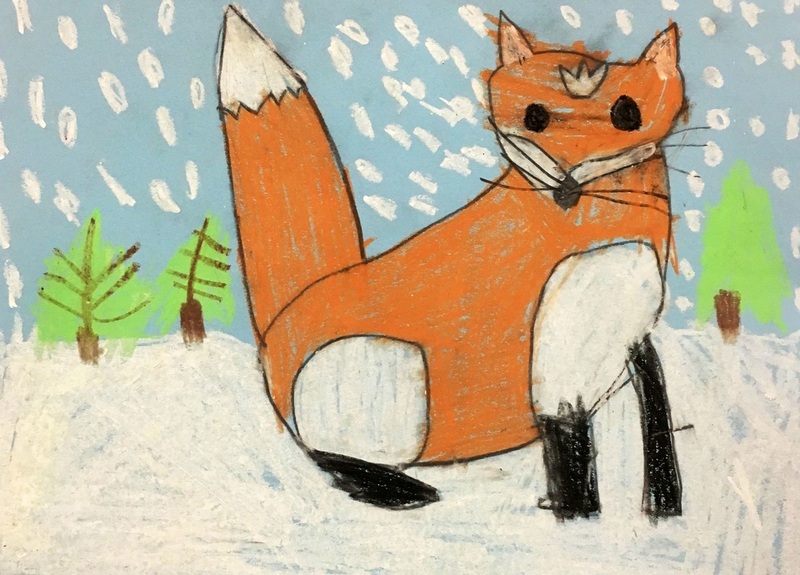 Using pencil, white oil pastel and blending construction paper crayons to create these fantastic foxes! 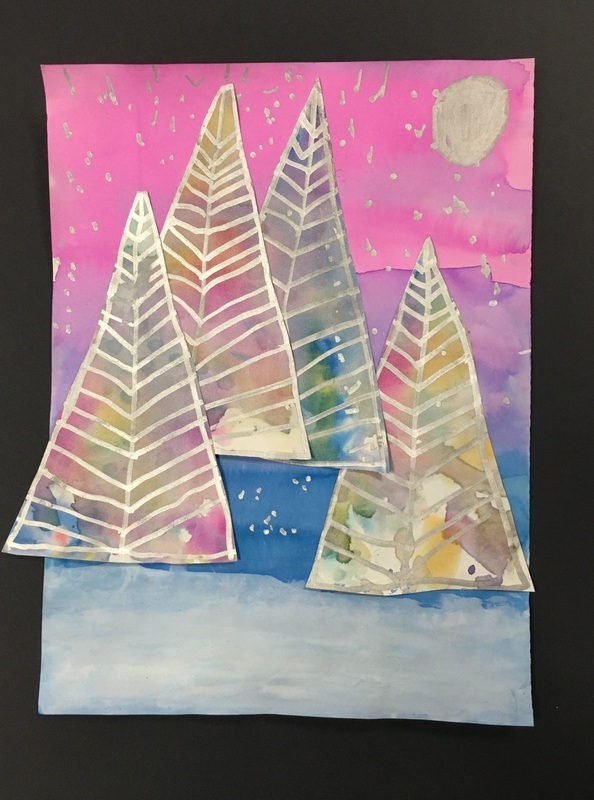 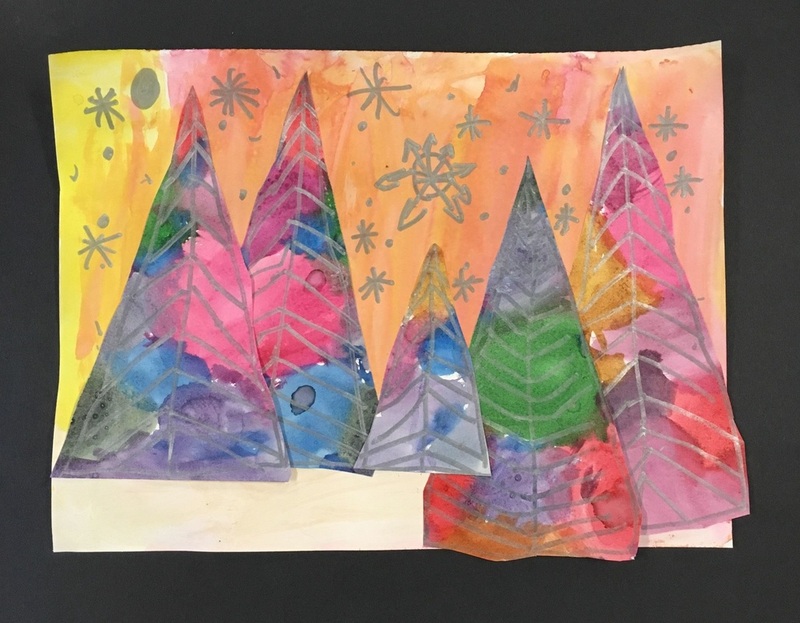 This Winter 2nd graders created beautiful winter wonderlands by combining a couple of different watercolor painting techniques and then collage. 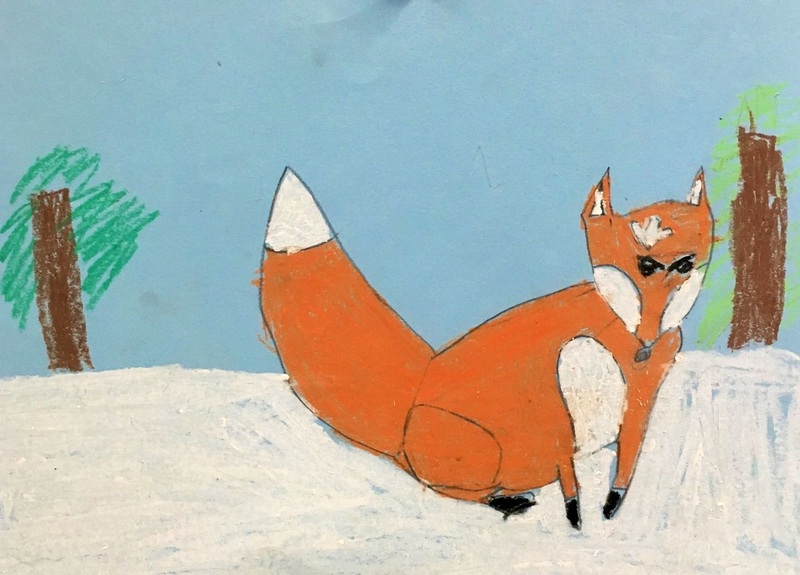 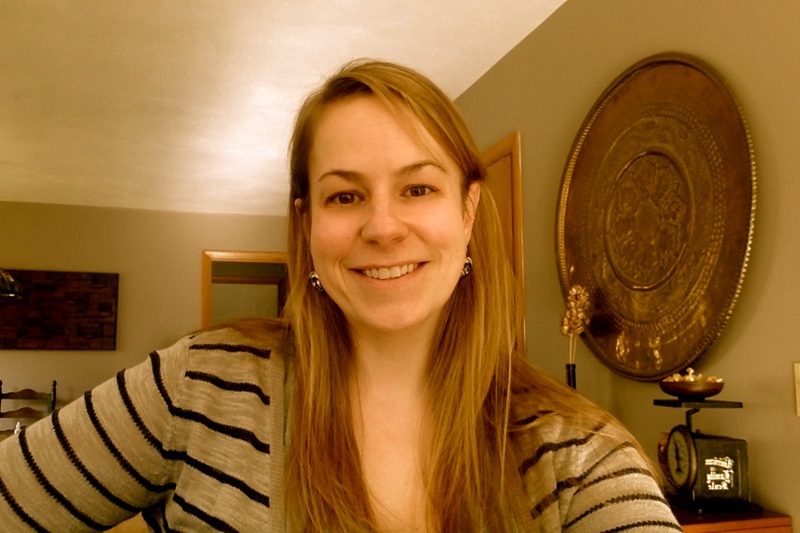 We reviewed warm and cool colors as well as overlapping in this lesson. 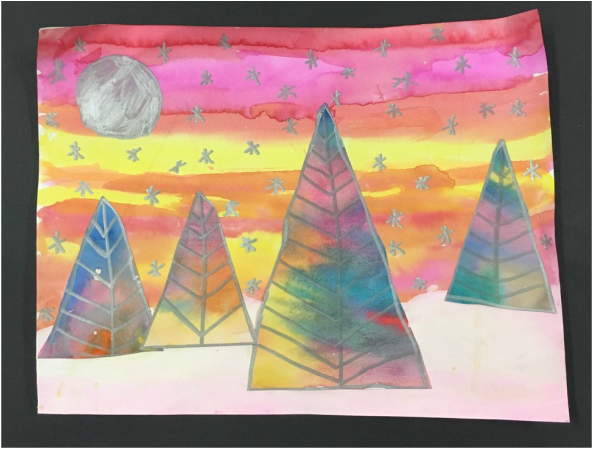 Finally details were added with silver marker to give a boost of twinkle in these beautiful landscapes. 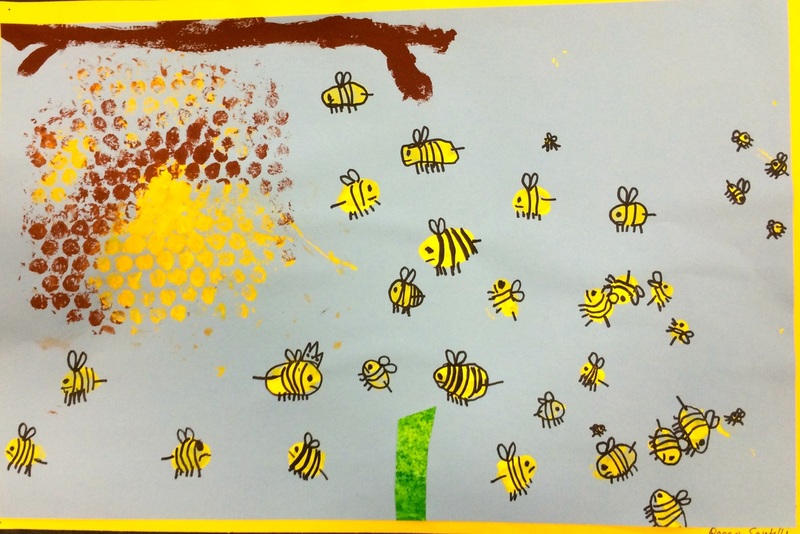 This art lesson began with making a hive using paint and bubble wrap to create a print on our blue paper. 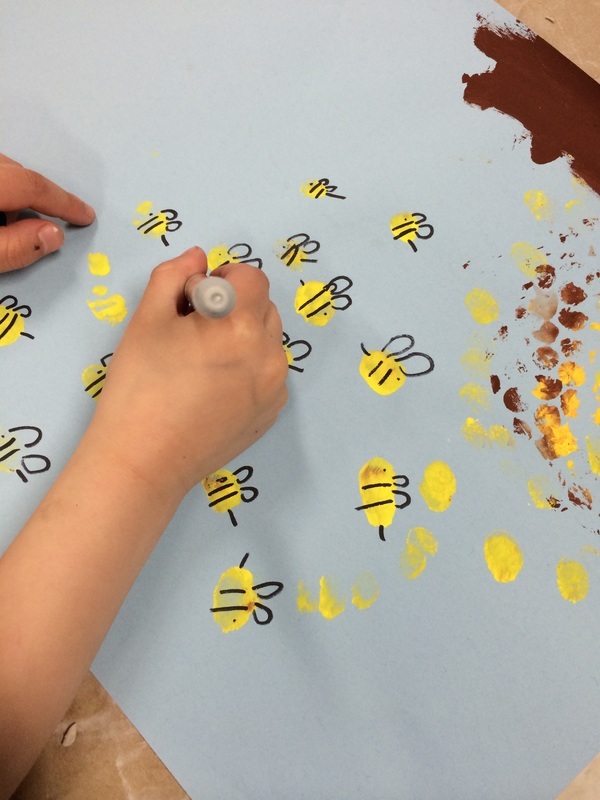 Then we used our thumbs dipped in yellow paint to make thumbprint bees. 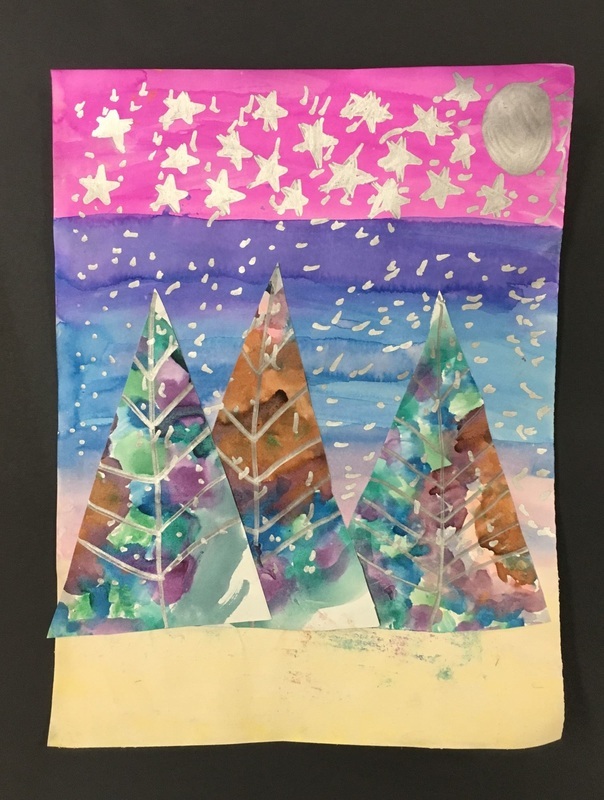 Next art class we talked about collage and how to make something out of cut paper instead of drawing it. 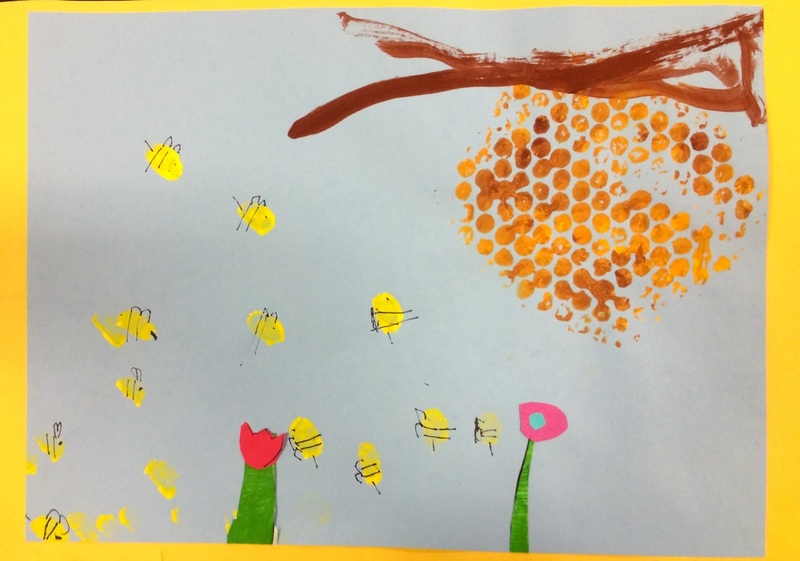 The kinders used black marker to give their bees their stripes and wings. 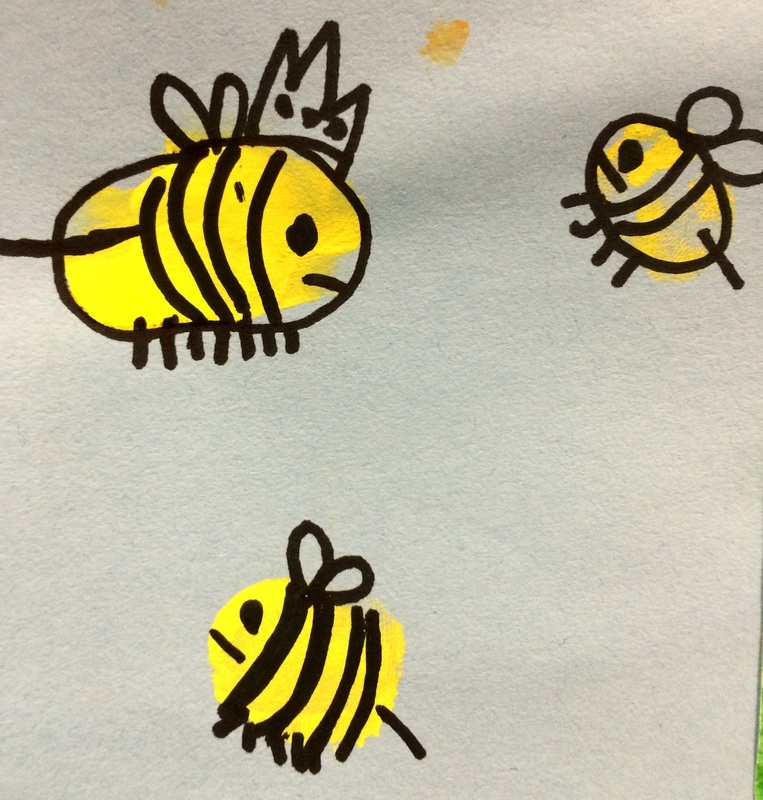 The bees really took on a personality when the kindergartens were done. 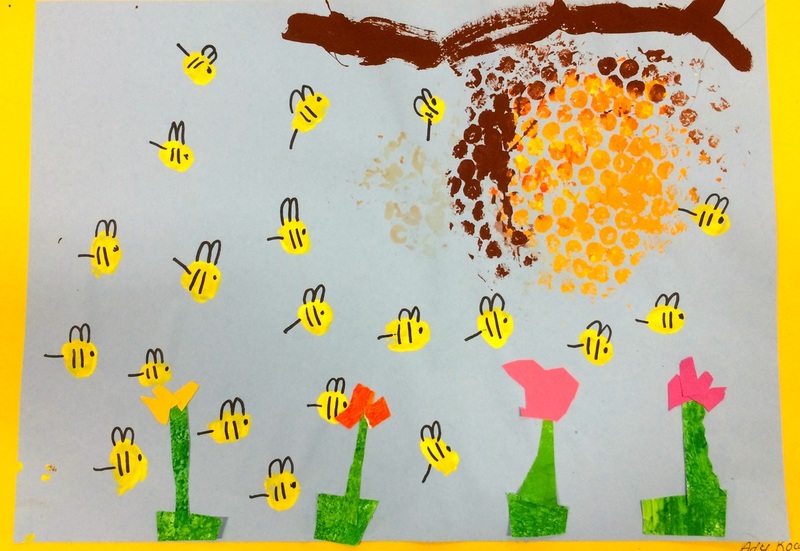 The last touch was to use collage to create a garden for the bees to pollenate. 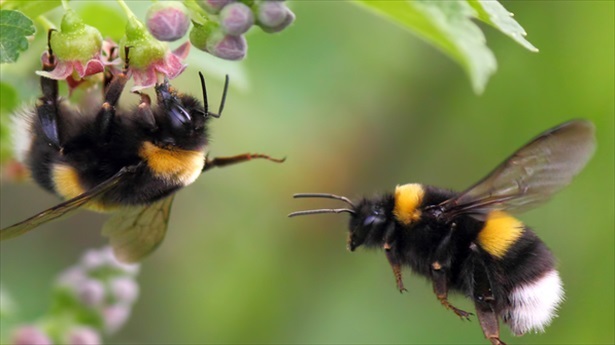 These are just the bees knees! 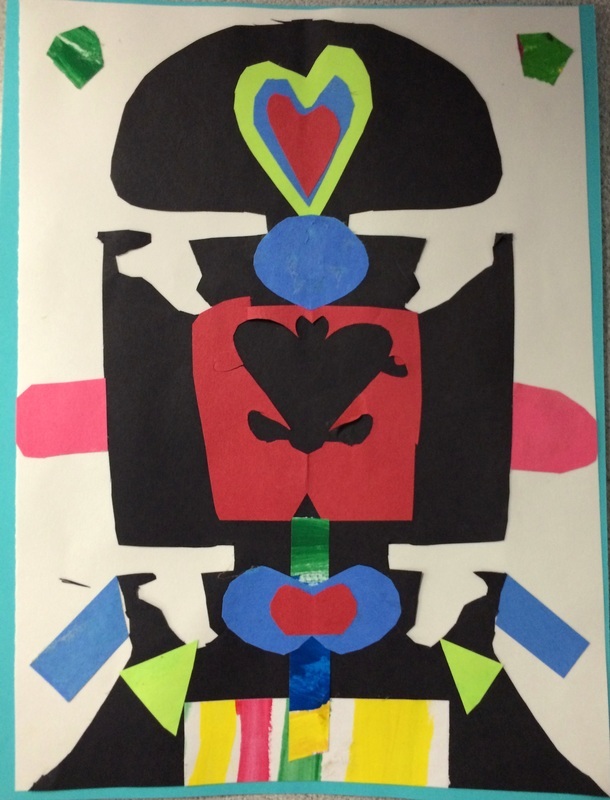 In 1st Grade we started a unit on symmetry. 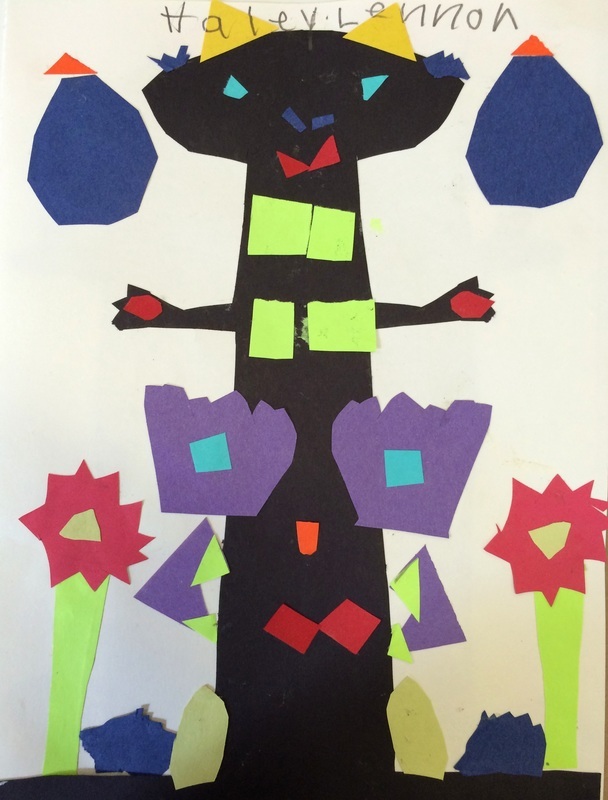 We looked at and discussed Wycinanki (vy-chee-nan-kee) the art of Polish Paper cuts. 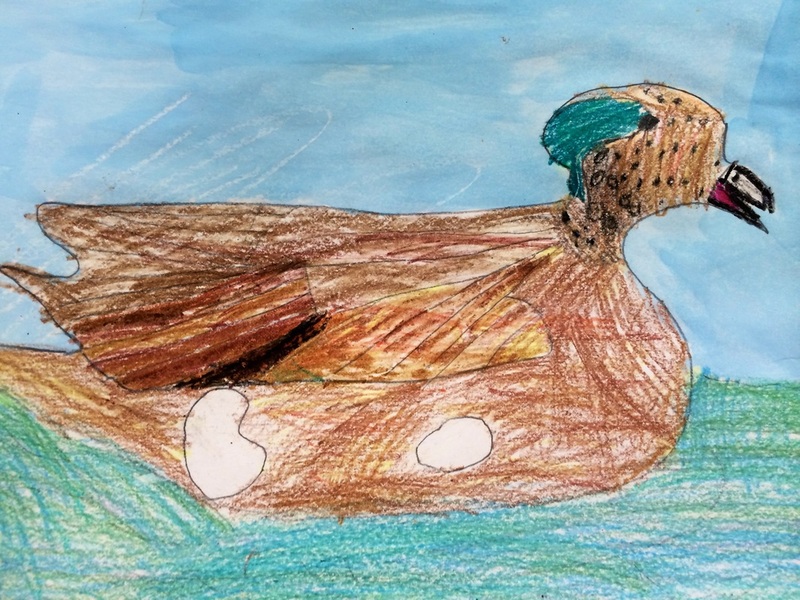 Wycinanki started long ago in the mid 1800's, shepherds cut designs out of tree bark and leather to pass the time. 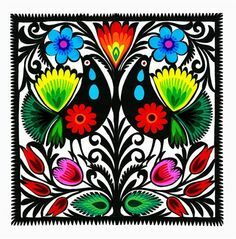 These beautiful designs were used to decorate furniture, hung in windows and were made as gifts. 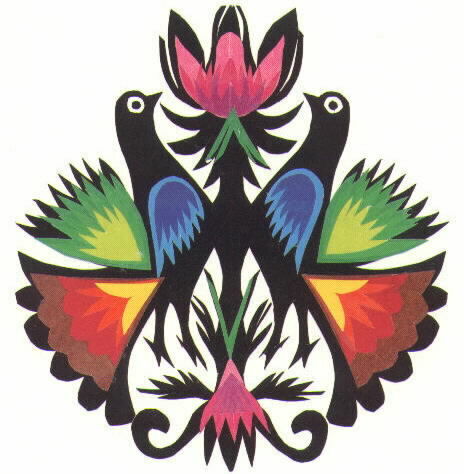 The tradition of Wycinanki has been passed down through many generations and is still practiced today.The subject matter usually consisted of trees, plants, flowers and different birds and the designs are symmetrical, the same on both sides. 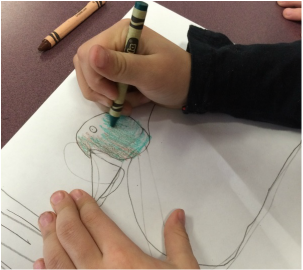 After looking at pictures of different Wycinanki, talking about symmetry and layers, 1st graders began their own design. 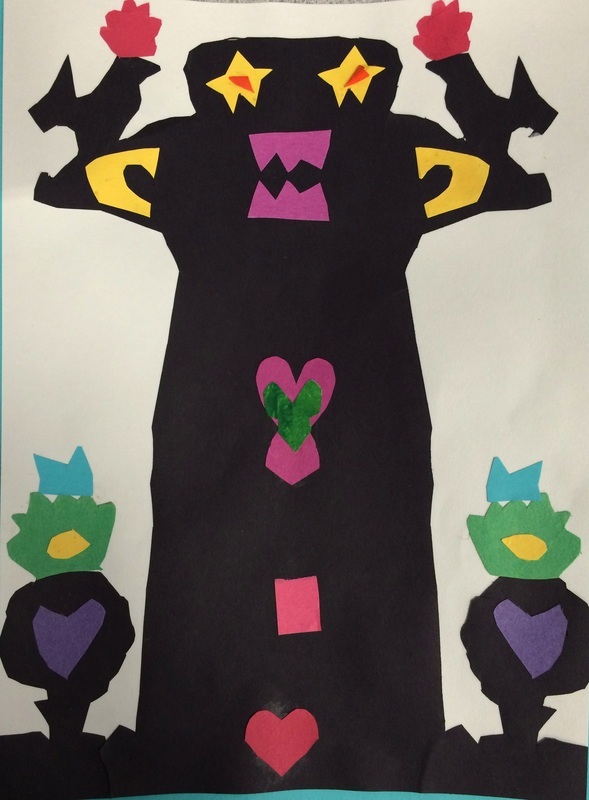 Starting with a folded black piece of paper we drew and cut our own original design. 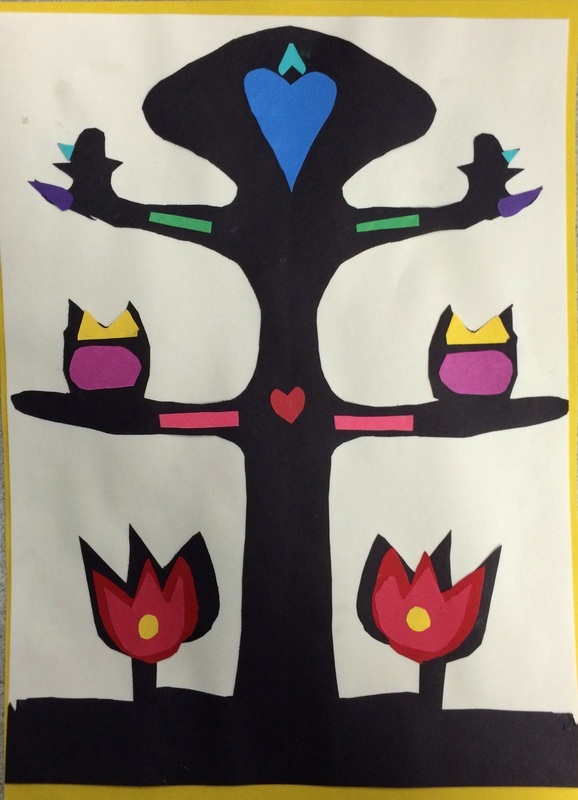 Trees, birds and flowers were our inspiration just like most Wycinanki artists. 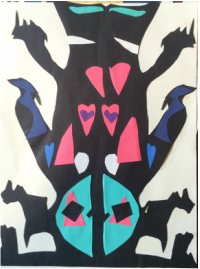 Afterwords the pieces were unfolded and glued to white paper. 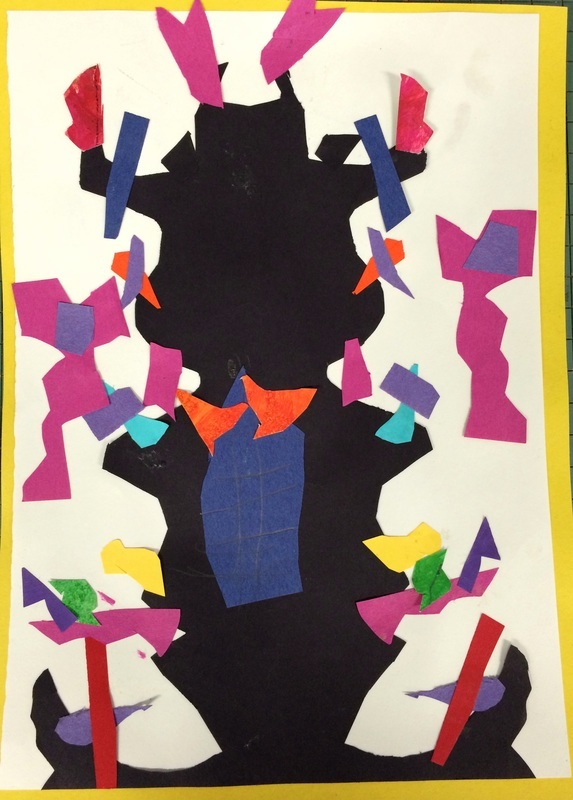 As we continued 1st graders were to cut out colored paper and collage onto their silhouetted design. 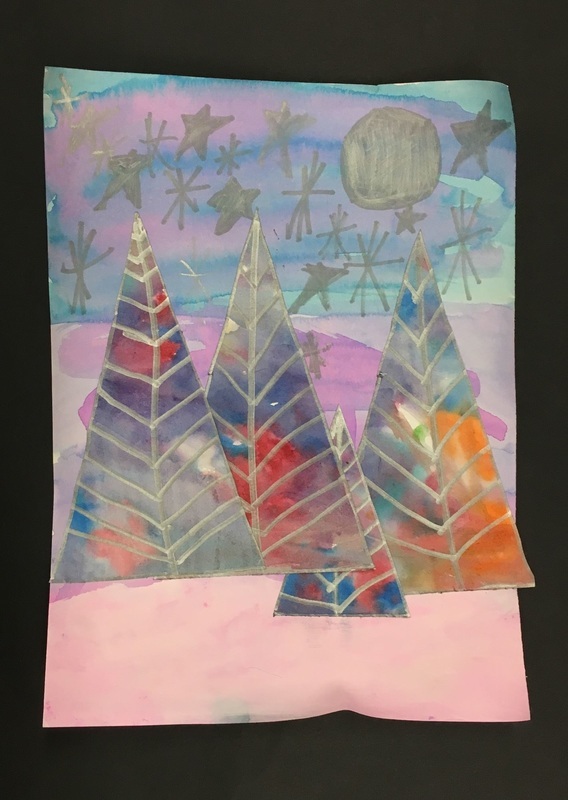 their designs has to be symmetrical while adding layers of color. 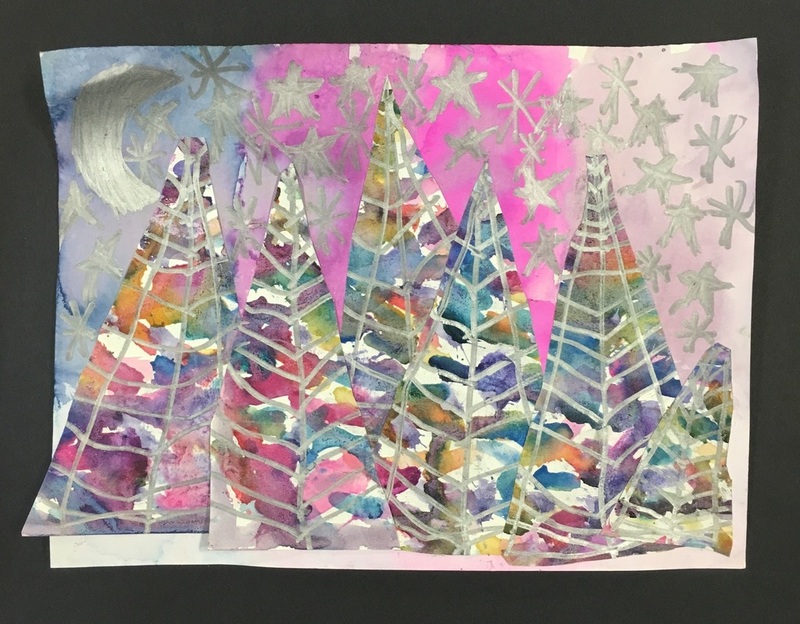 These paper cut collages are bold and so unique, the 1st graders imaginations really came alive in these artworks. 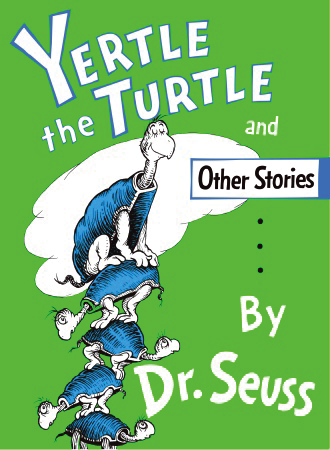 This lesson began with Dr. Seuss's story, 'Yertle the Turtle' a tale about a bossy turtle who demands to stand on his fellows turtles to get the best view of the pond. 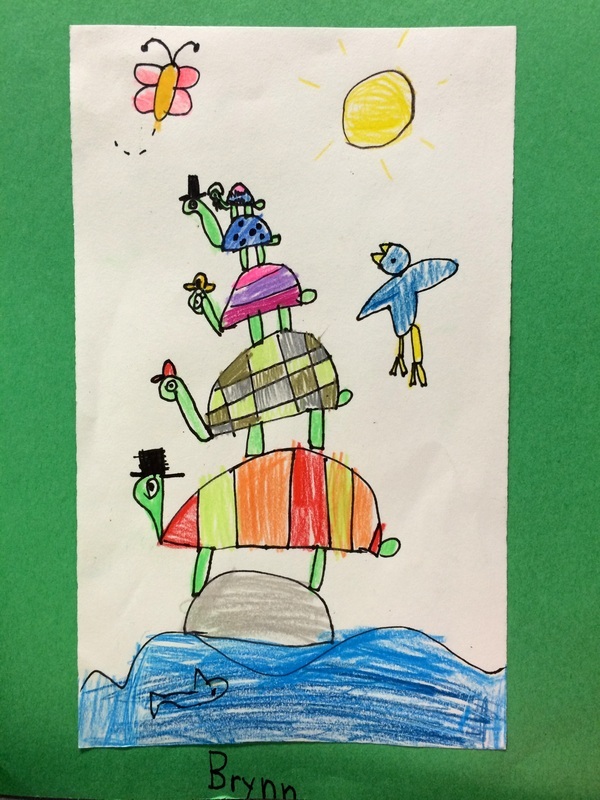 In this lesson we worked on our drawing skills and created a turtle stack. 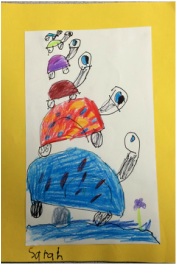 Kindergarteners first drew their turtle stack starting with the largest turtle at the bottom and then work their way up gradually drawing smaller turtles, learning about proportions. 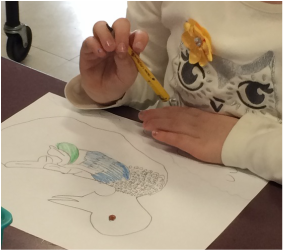 The kinders were free to use their imagination to decorate their turtles with line and pattern. 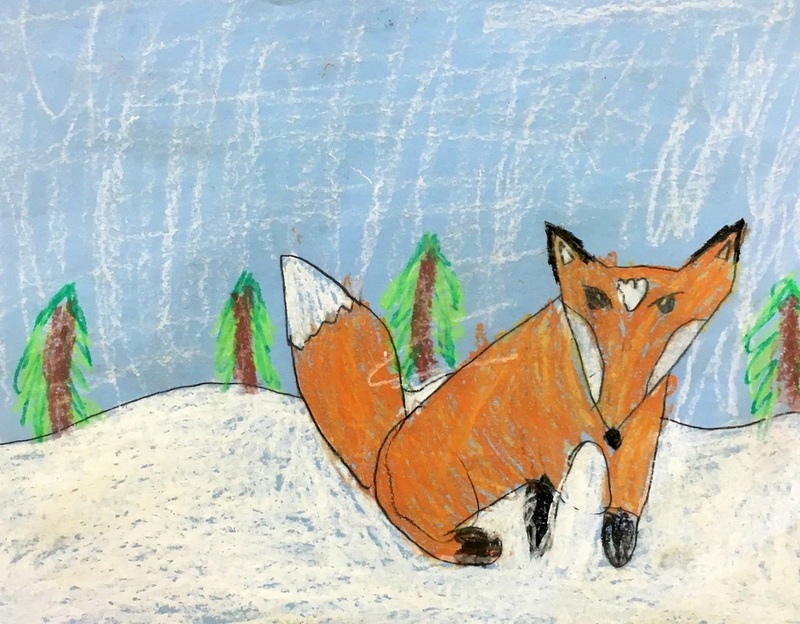 Colored pencil was used to add bright bold color. 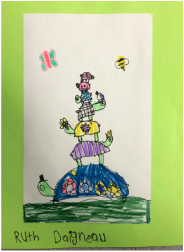 Then the children mounted their 'Turtle Stacks' to a chosen colored piece of paper and finished it off with an artist signature. 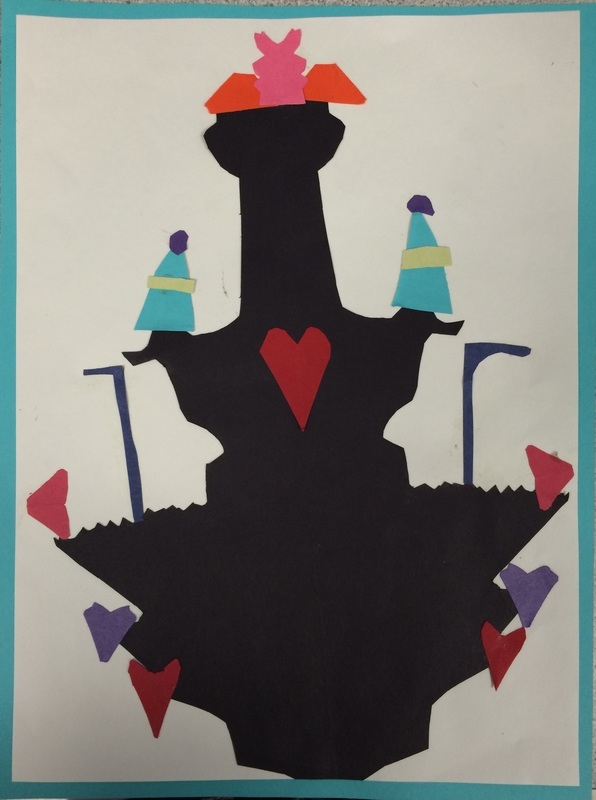 This was a fun project that reflected individual imagination. 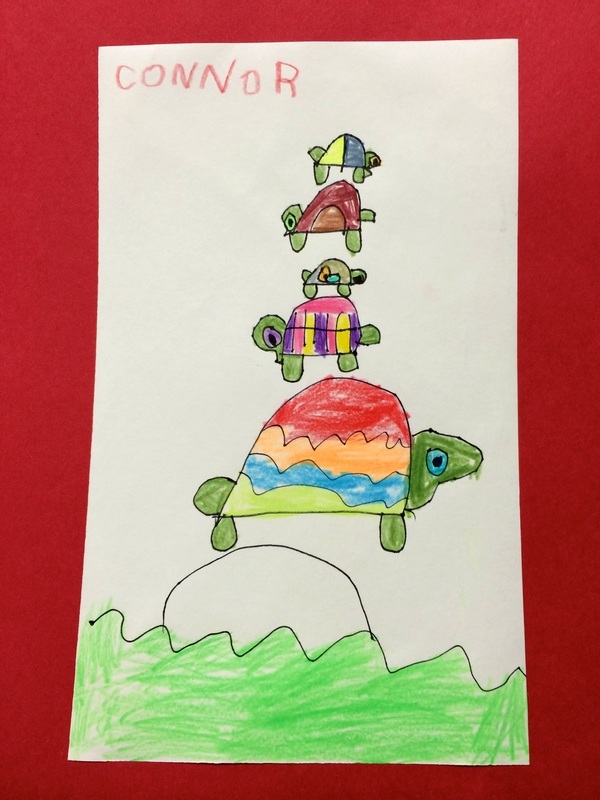 The kindergarteners were so excited to see how high their 'Turtle Stacks' could go. 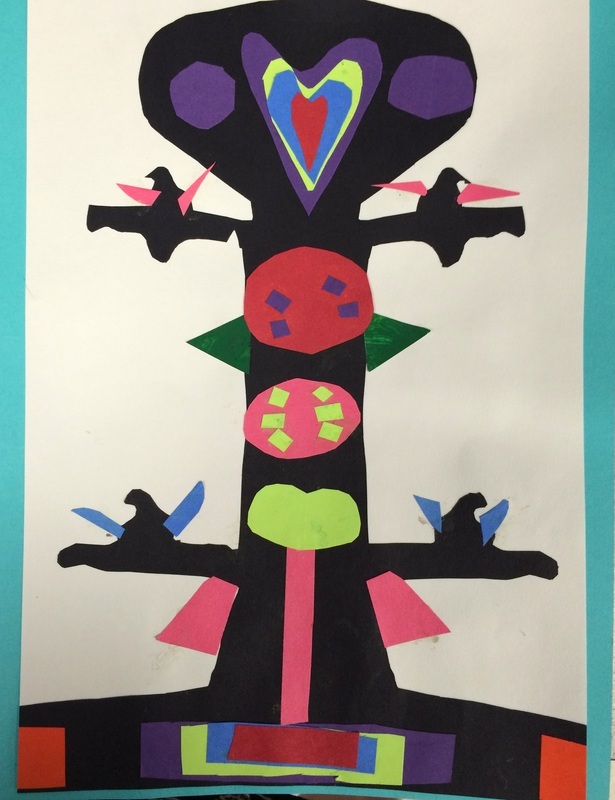 In 1st grade we looked at and discussed the Artist Laurel Burch. 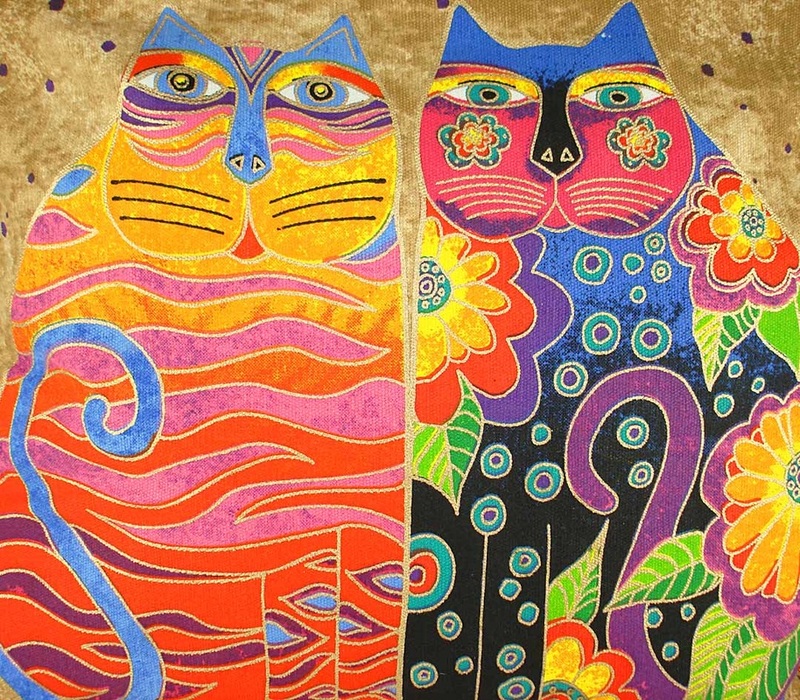 She mostly paints cats in a funky creative style filled with design and pattern. 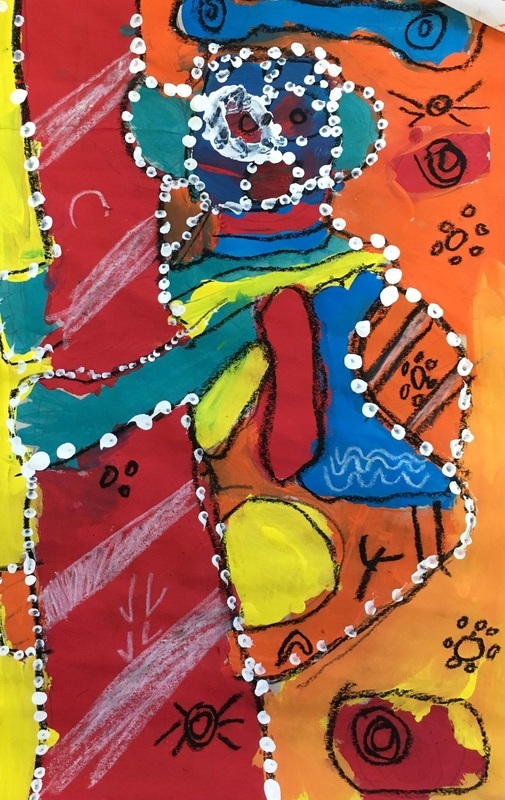 Starting off with sketching we practiced drawing either a cat or dog filled with pattern and texture in the style of Laurel Burch, but using our own imaginations. 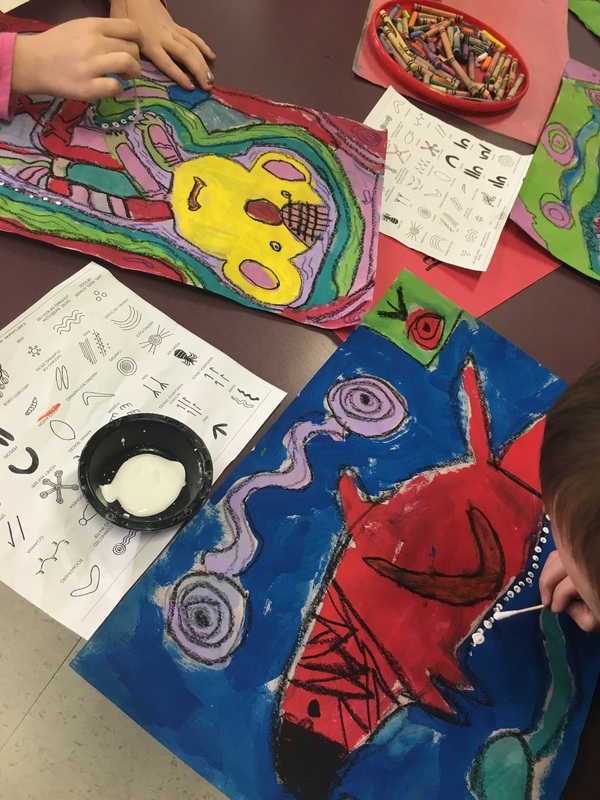 1st graders then learned how to carve into styrofoam plates to create a relief of their cat or dog sketch. 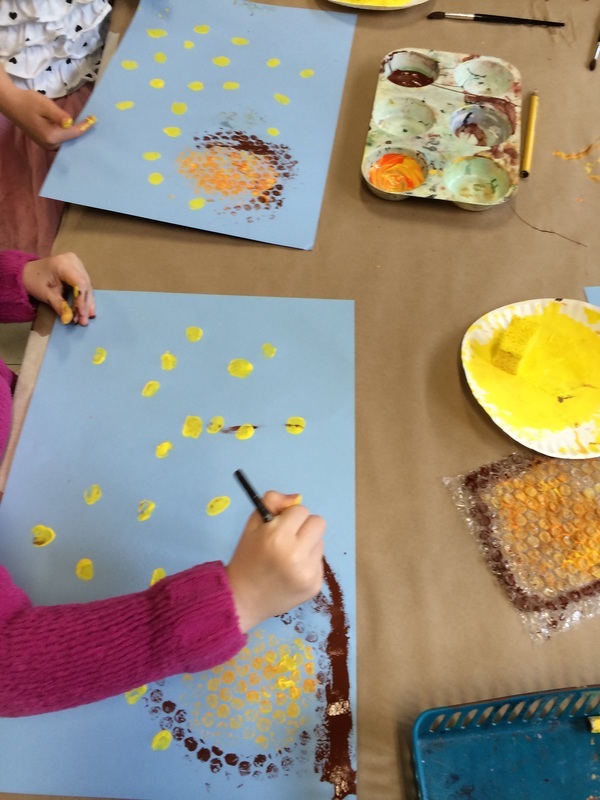 Another step in this project was to use sponges dipped in gold paint to print onto a separate piece of paper, creating a gold texture. 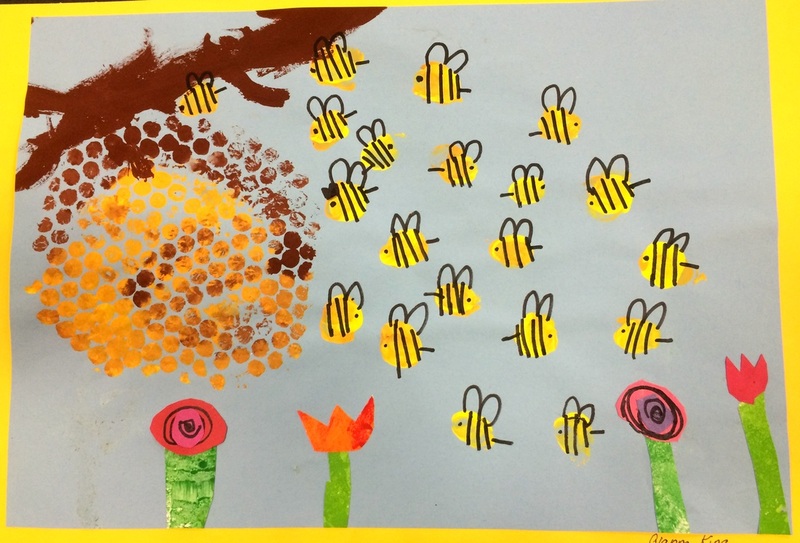 The following art class the golden printed paper was cut and mounted to a dark blue piece of paper. 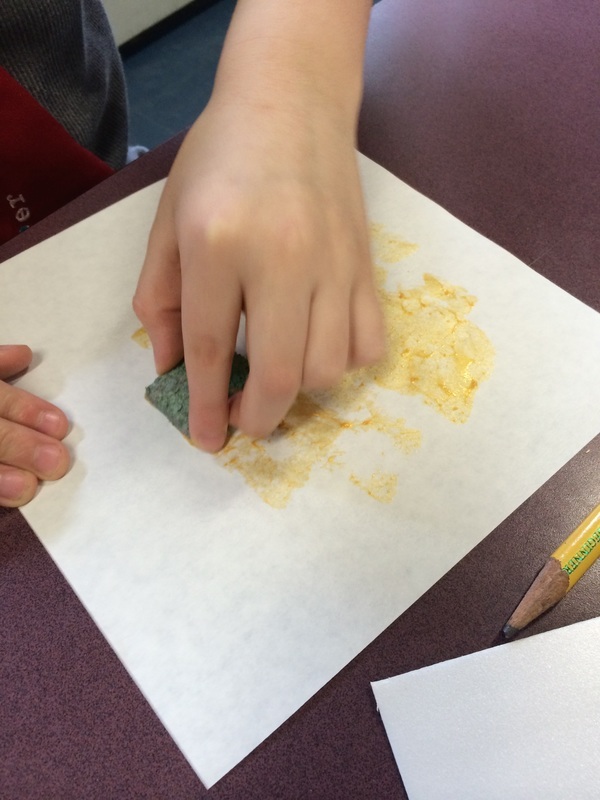 Now for the fun part, using brayers to apply ink to our carved printing plates. 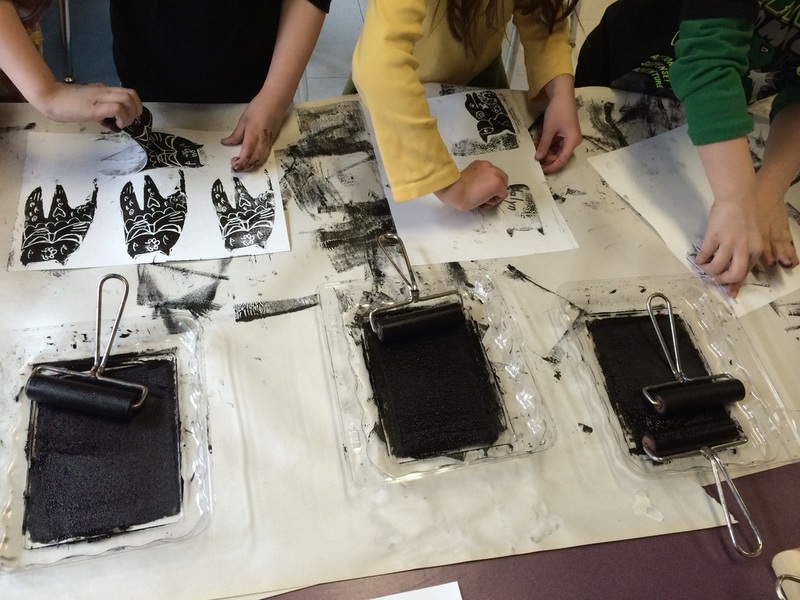 1st graders made 4 prints of their carving. 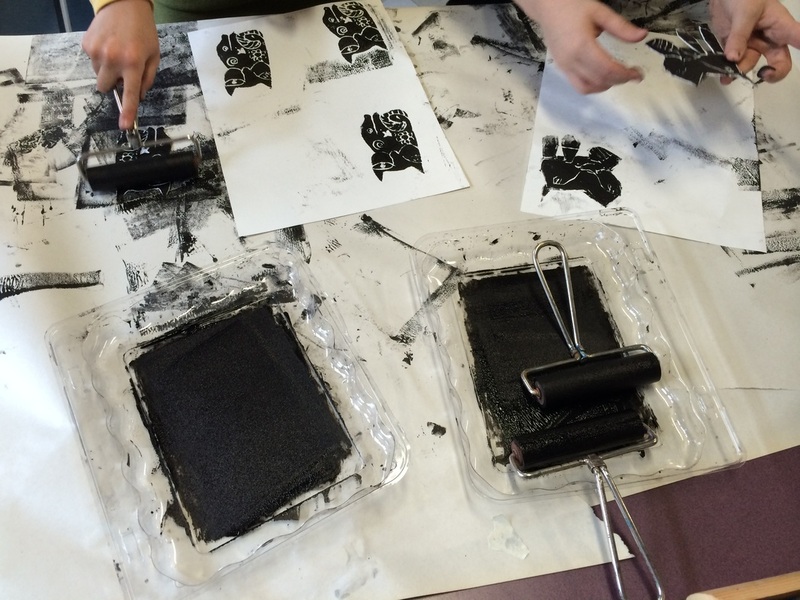 Printmaking can be messy but its worth it, the process is fun and the results are so cool. 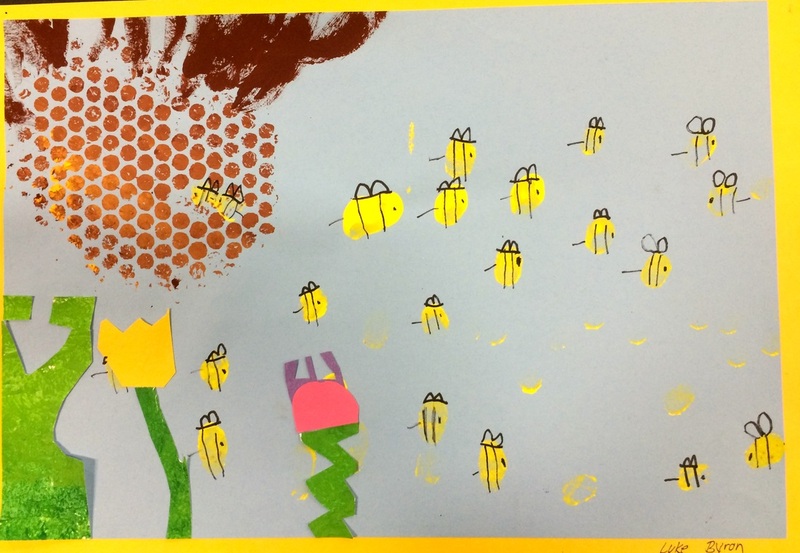 Once our prints had dried, we carefully cut them out and mounted them to the gold and blue paper creating a layered effect. 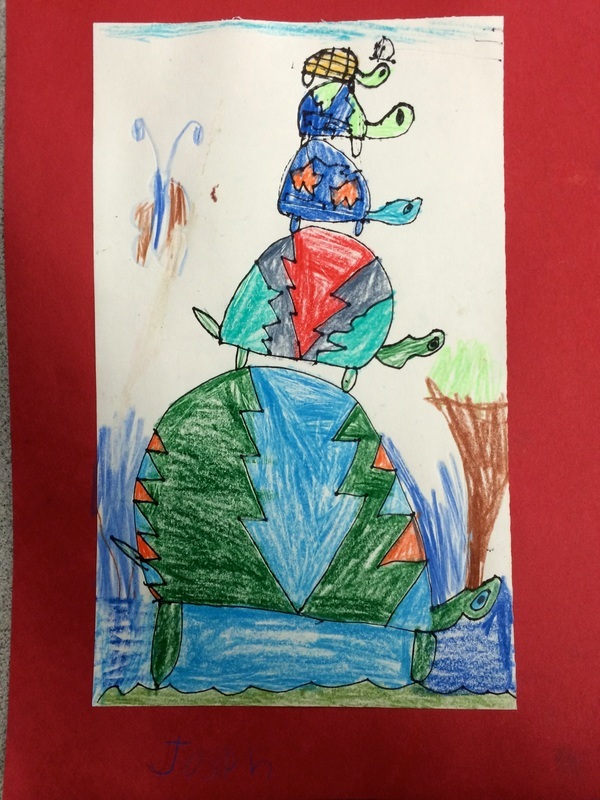 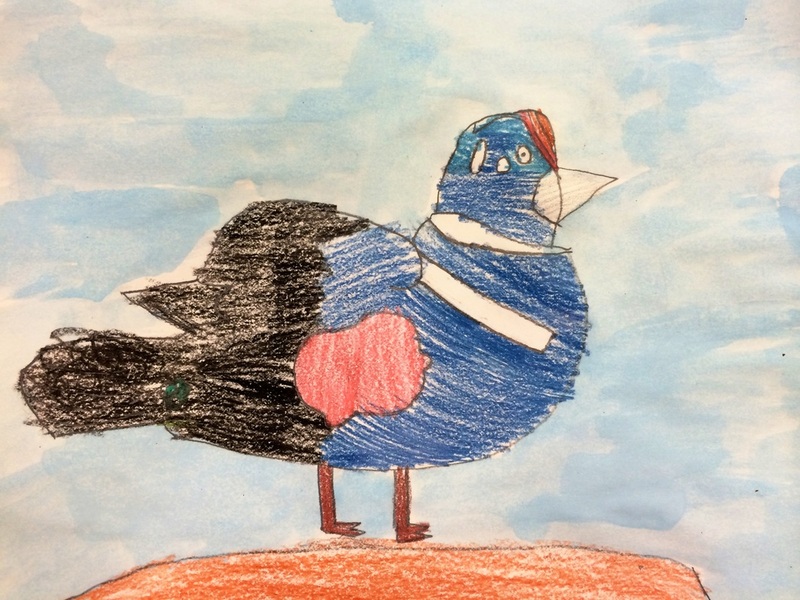 I am continuously impressed by the 1st graders at Wawaloam and the outstanding artist they have become. 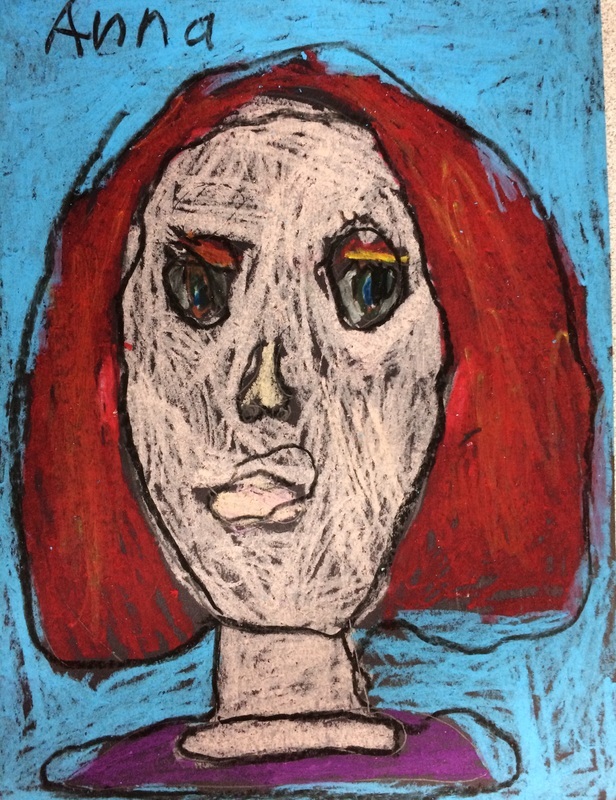 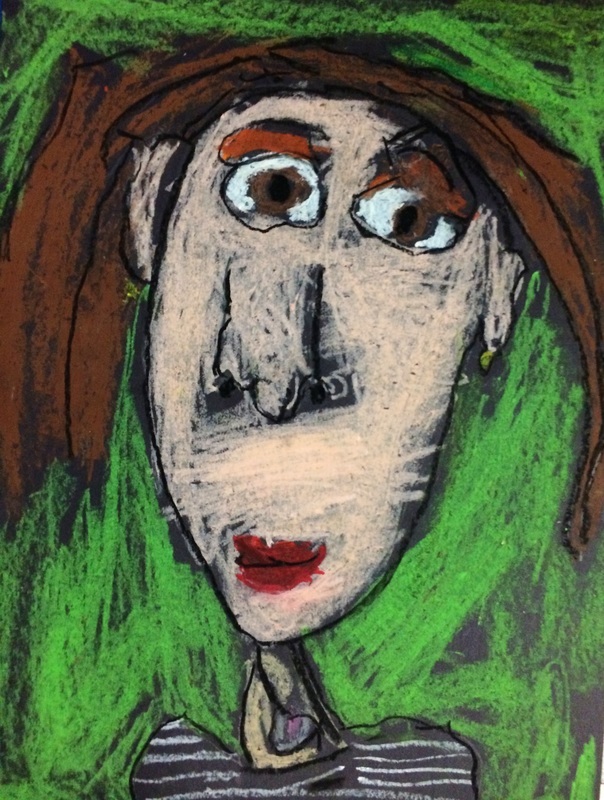 Most artists create self portraits, each year in art we will make a self portrait. 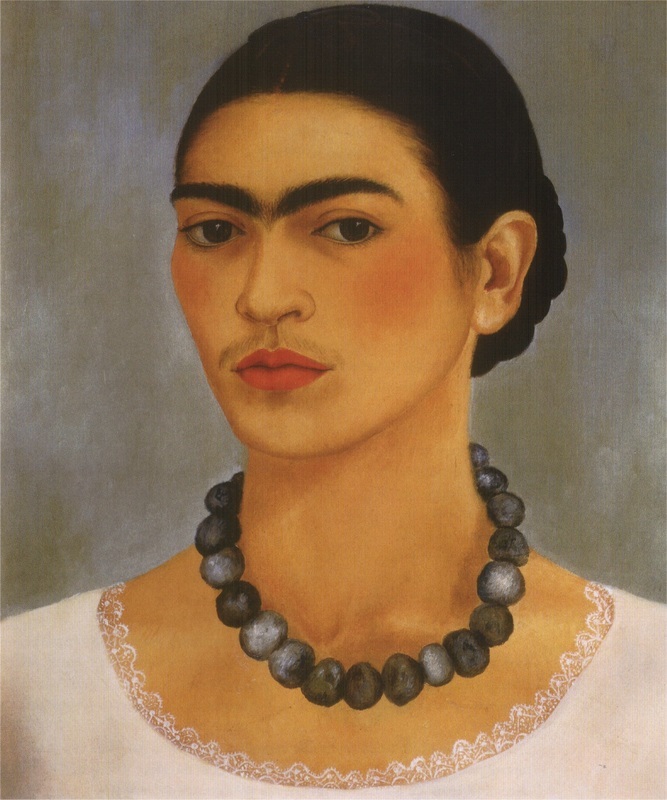 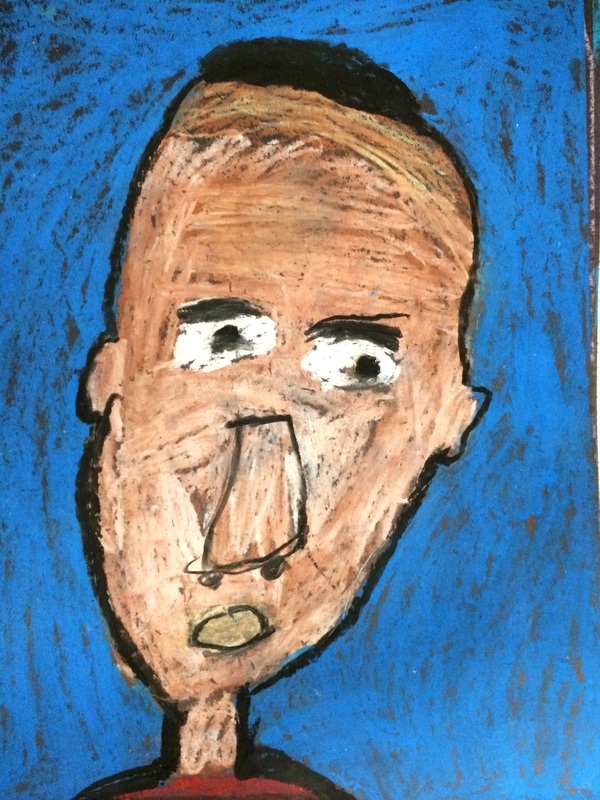 We looked at many artist's self portraits and discussed how each artist has their own unique individual style. 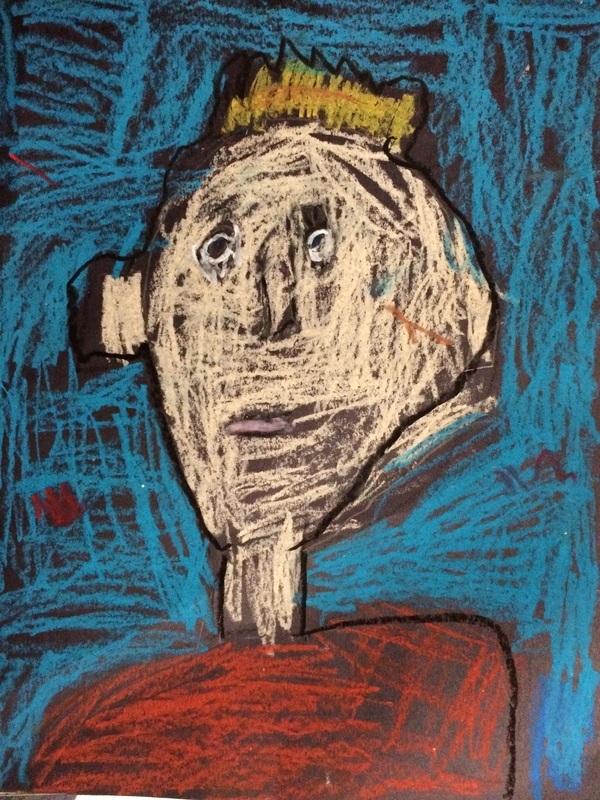 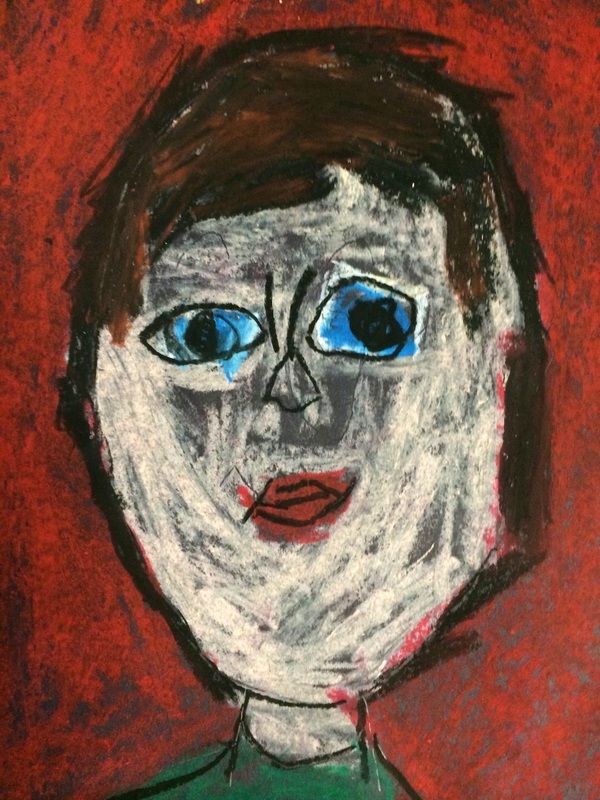 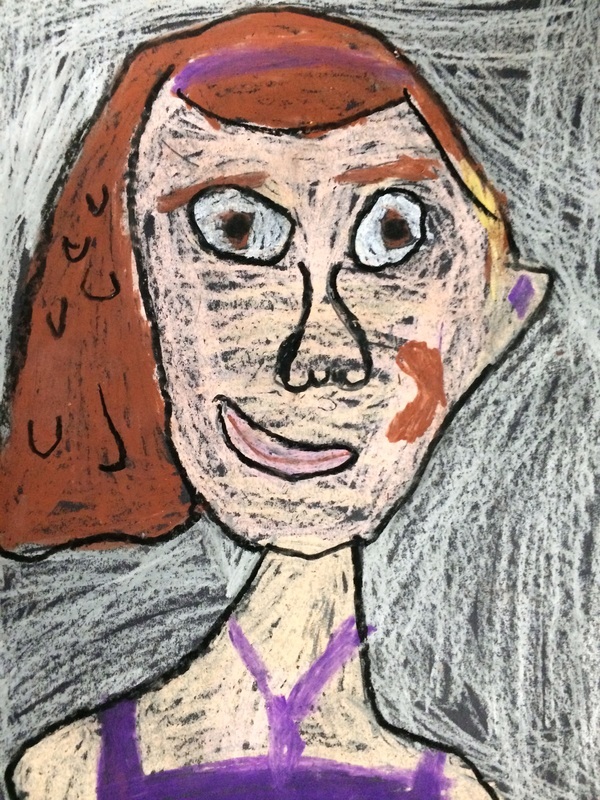 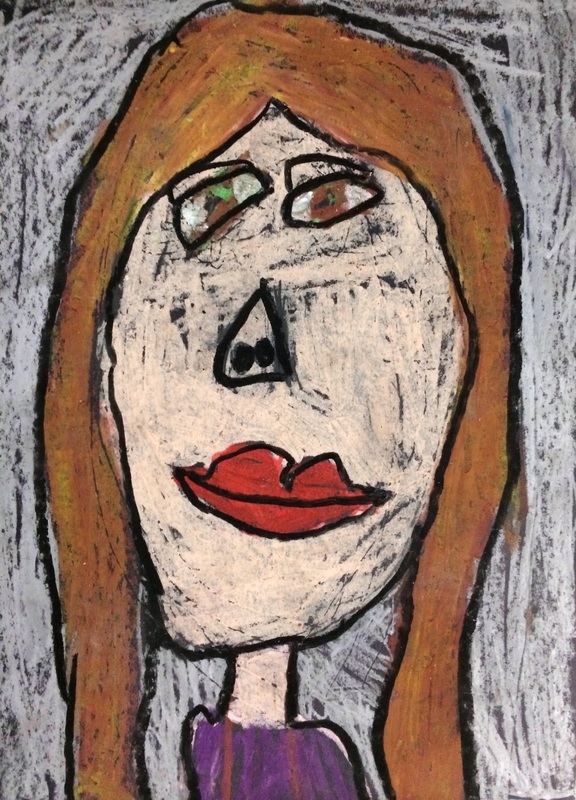 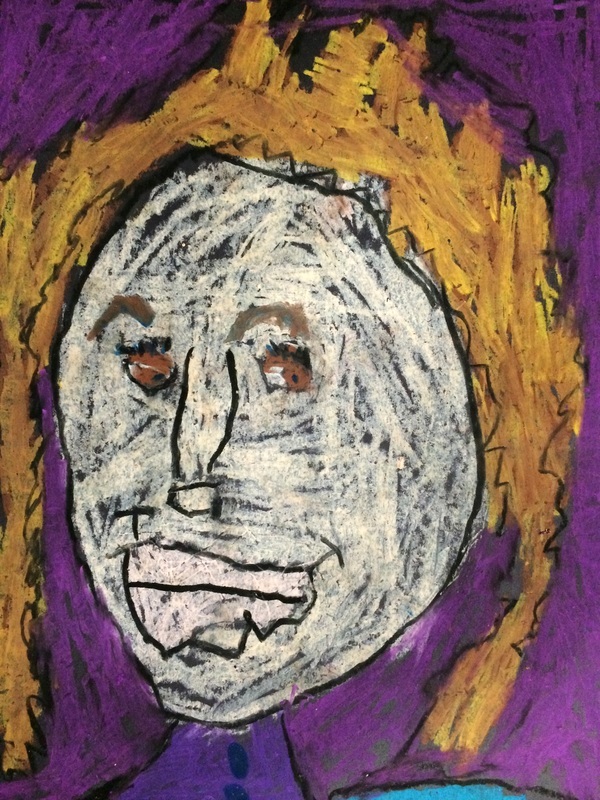 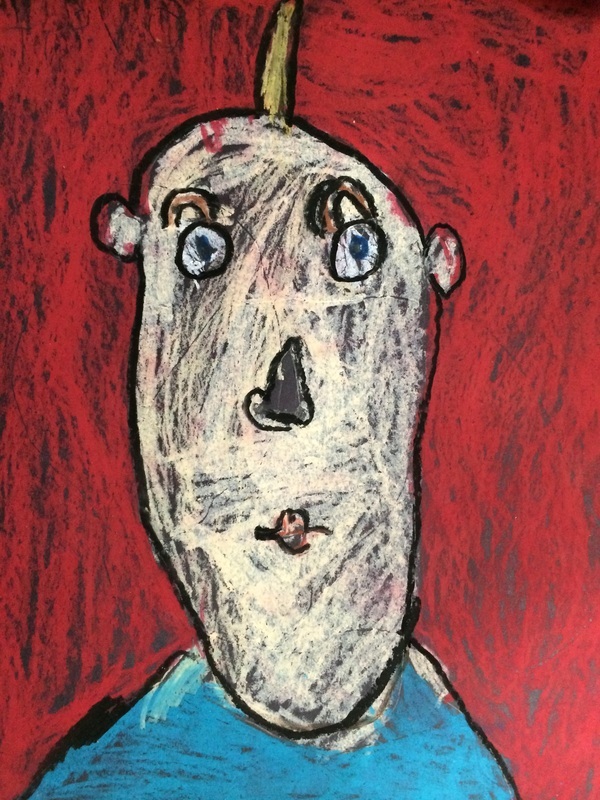 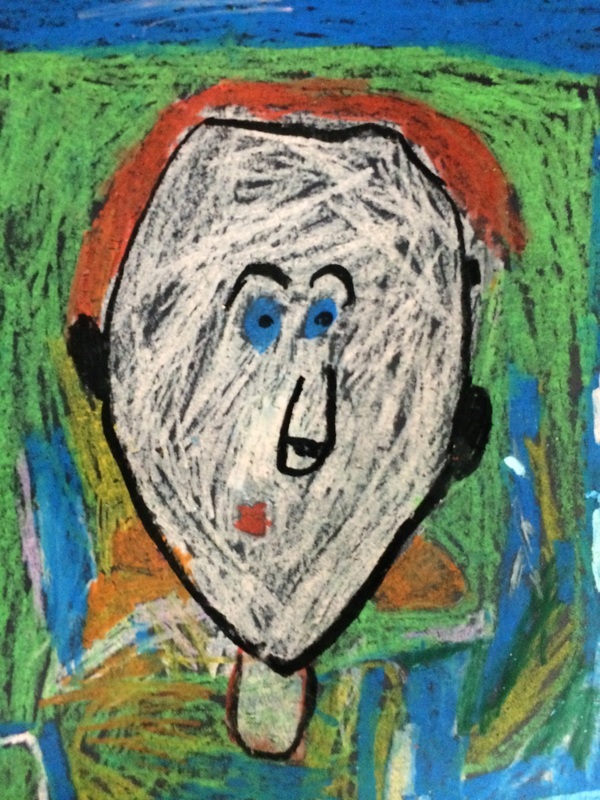 In this lesson Kindergarteners learn about facial proportions and how to draw a self portrait. 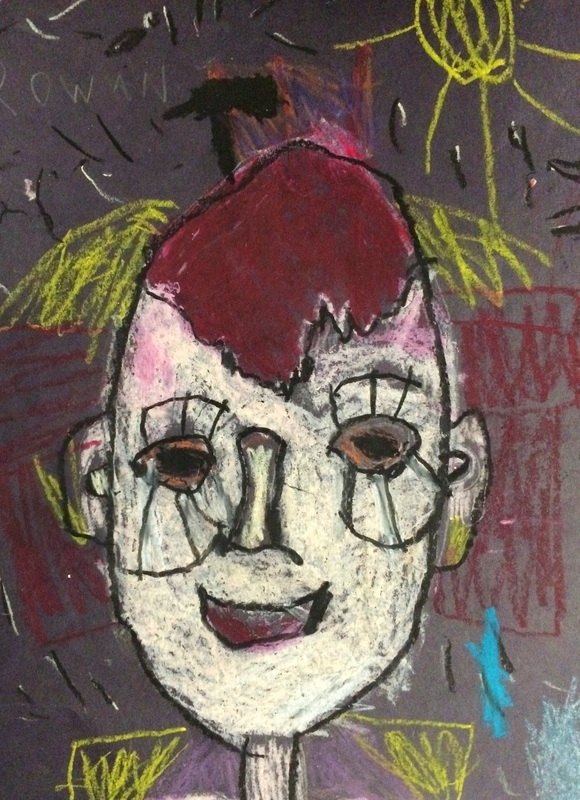 Using mirrors to observe their individual features, they began with a pencil sketch onto black paper. 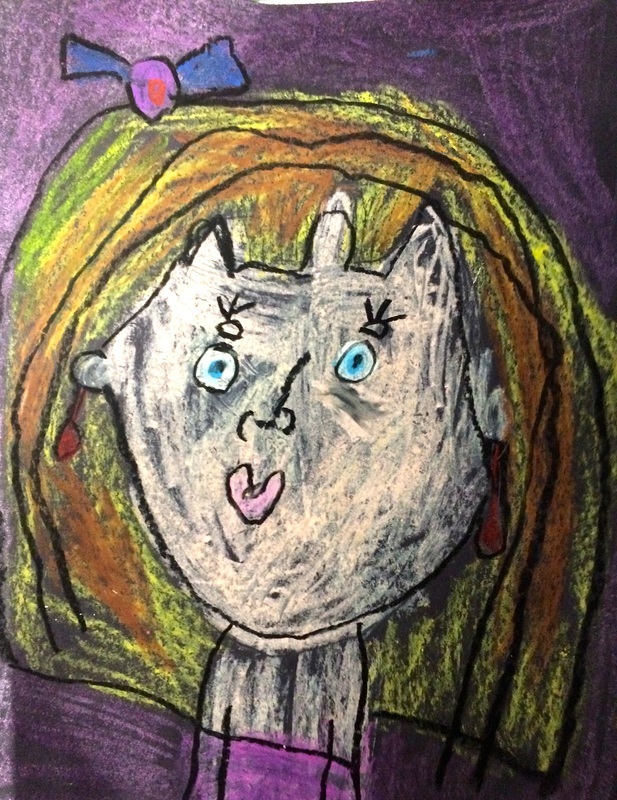 The kinders then chose an oil pastel to match there skin tone and began to color in there face and neck. 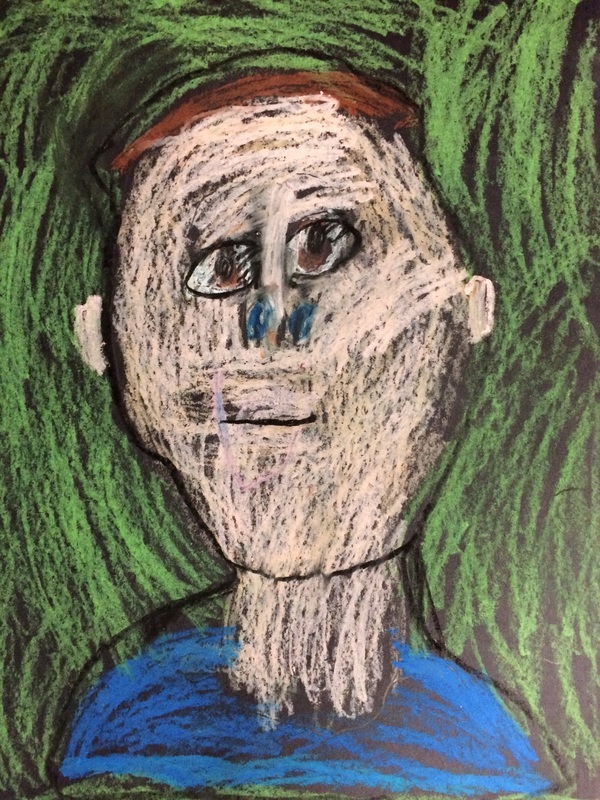 Continuing with oil pastel to boldly color in their other features as well as the background, the self portraits come to life. 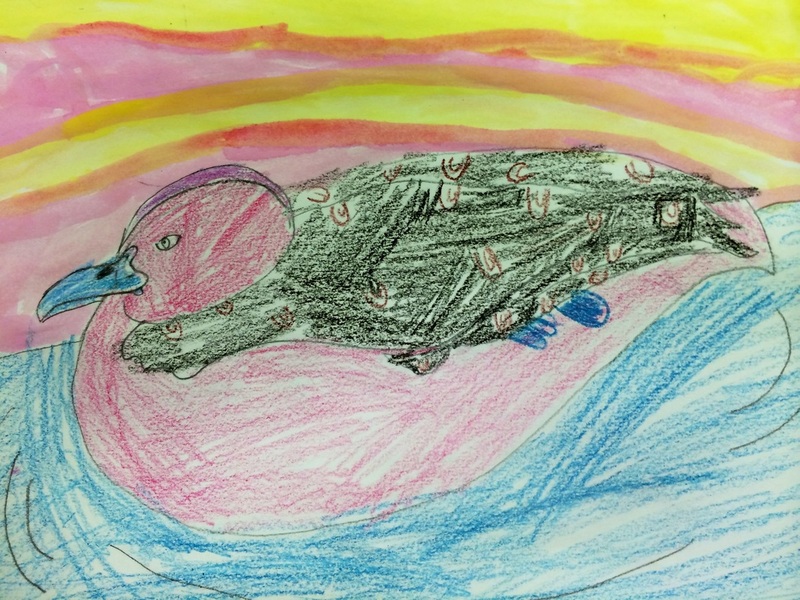 These vibrant works of art should be admired and cherished by all. 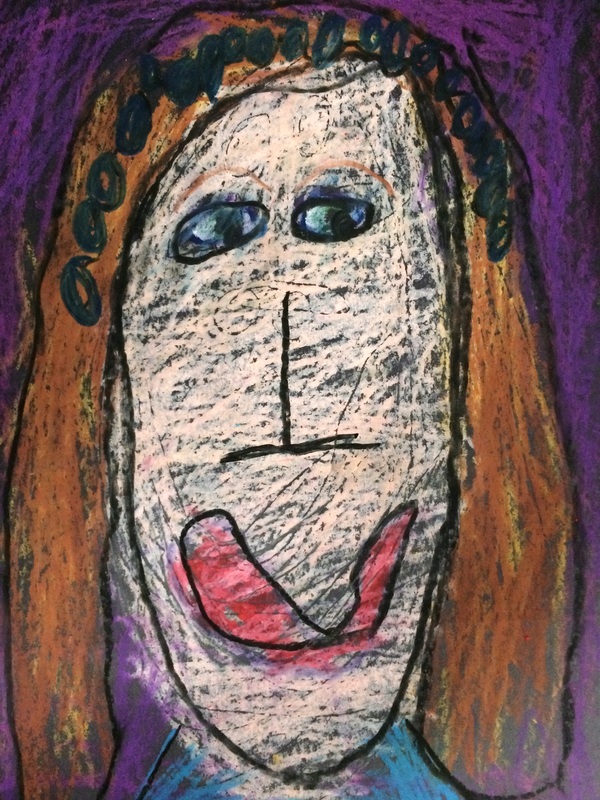 I am so impressed by our kindergarteners and the awesome self portraits they created. 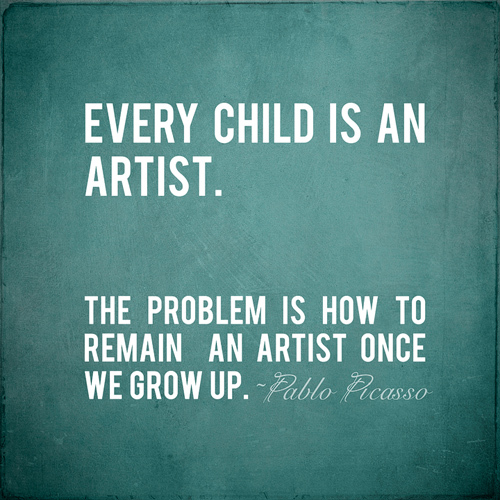 Just like true artist all the kids have their own unique individual style. 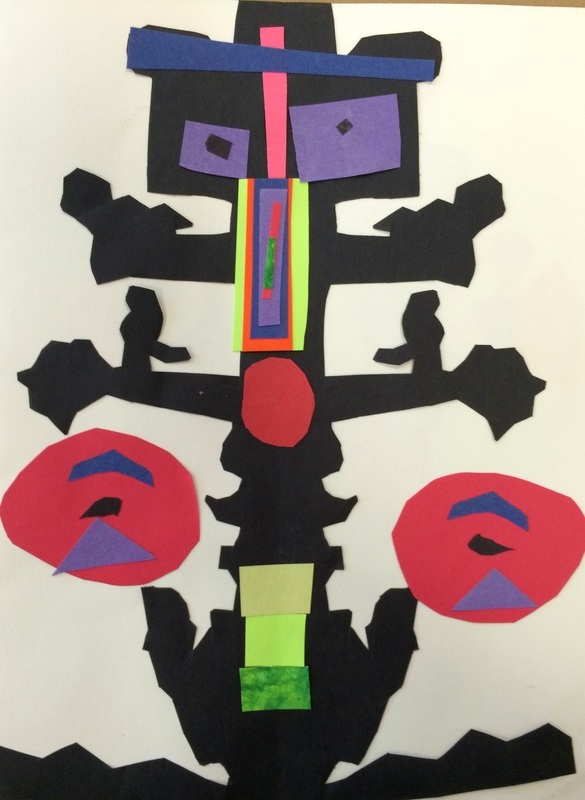 In 1st grade art class we read the The Spider Weave: A Legend of Kente Cloth by Magaret Musgrove. 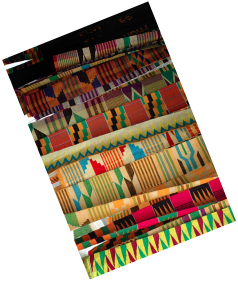 A wonderful tale about how Kente cloth started in Ghana, Africa with 2 weavers that observed a very creative spider and her weavings. 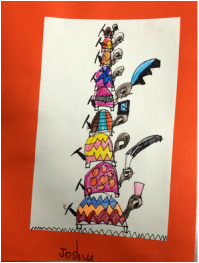 A great cultural story and introduction to our weaving project. 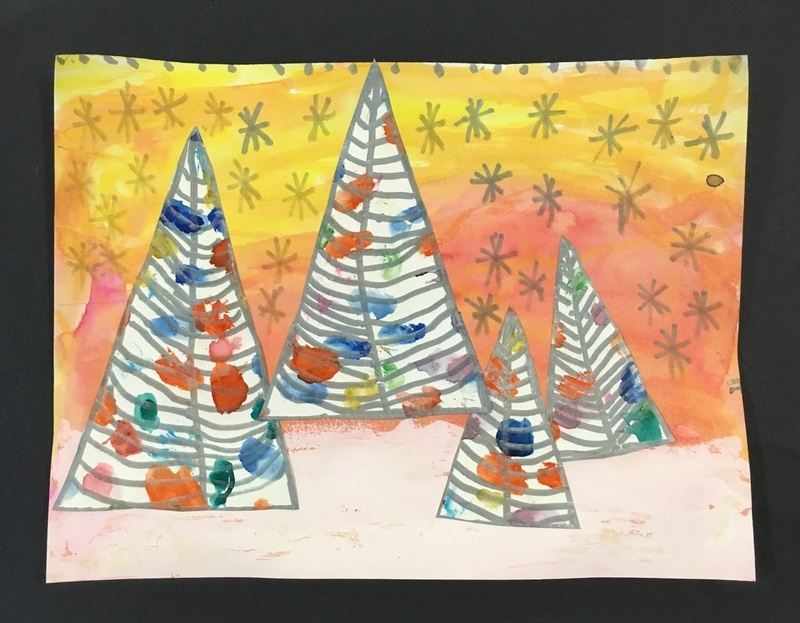 1st graders began by painting colorful stripes onto a long piece of paper. 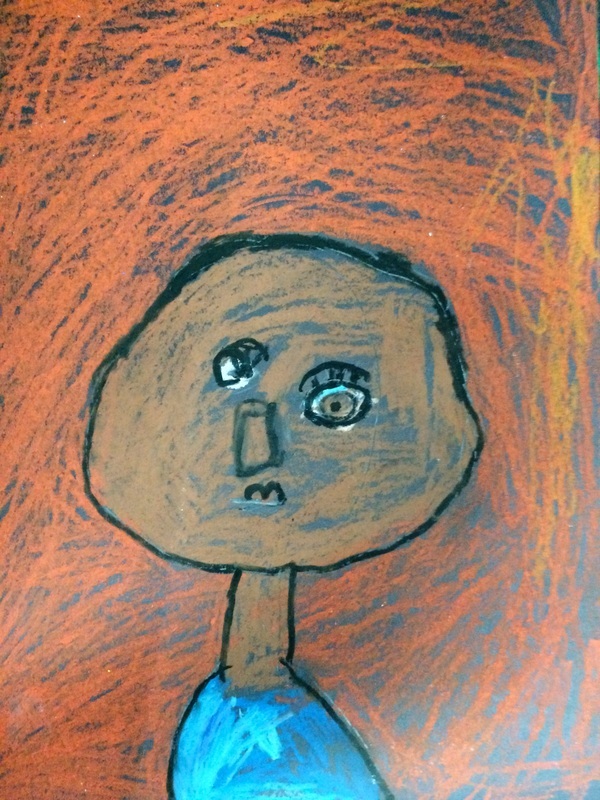 We talked about how the colors used in Kente cloth represented different things, as an example blue represents 'peace' and green represents 'growth' and 'food.' 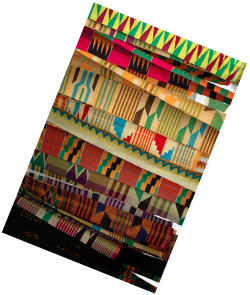 We also discussed how Kente cloth has patterns of color. 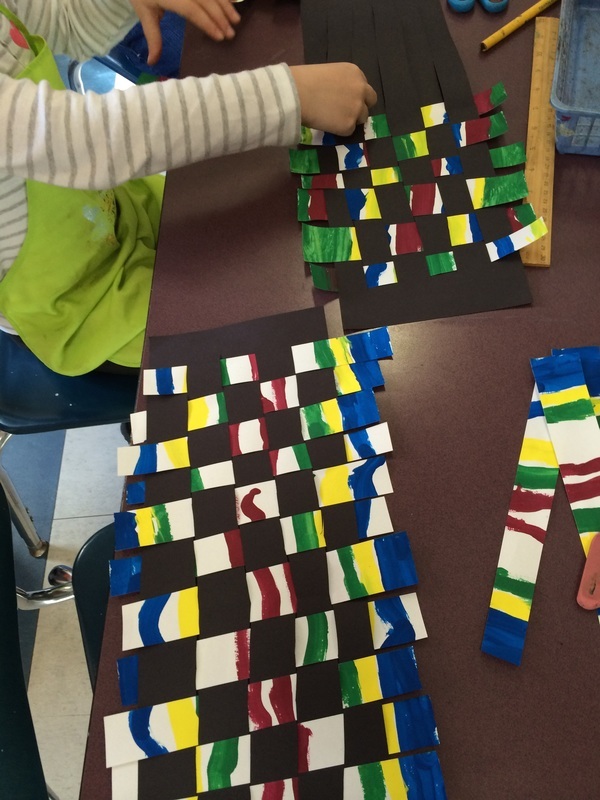 The next art class we made our looms using rulers, paper and scissors. 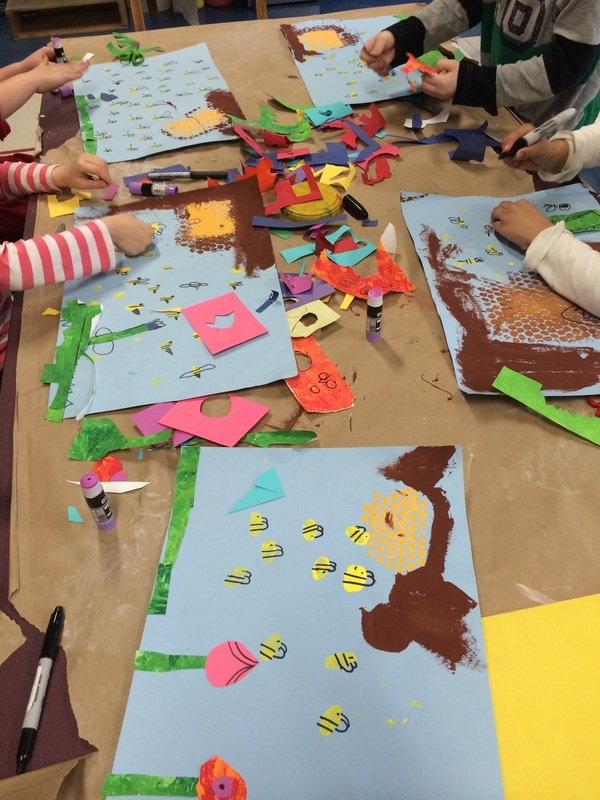 The painted paper was cut into strips and we began to weave. 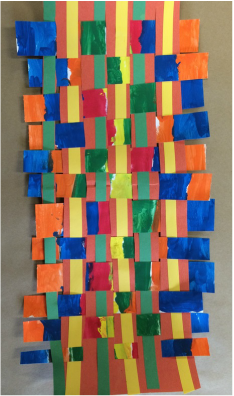 The warp are the strips going up and down on the loom and the cut strips of painted paper are called weft. 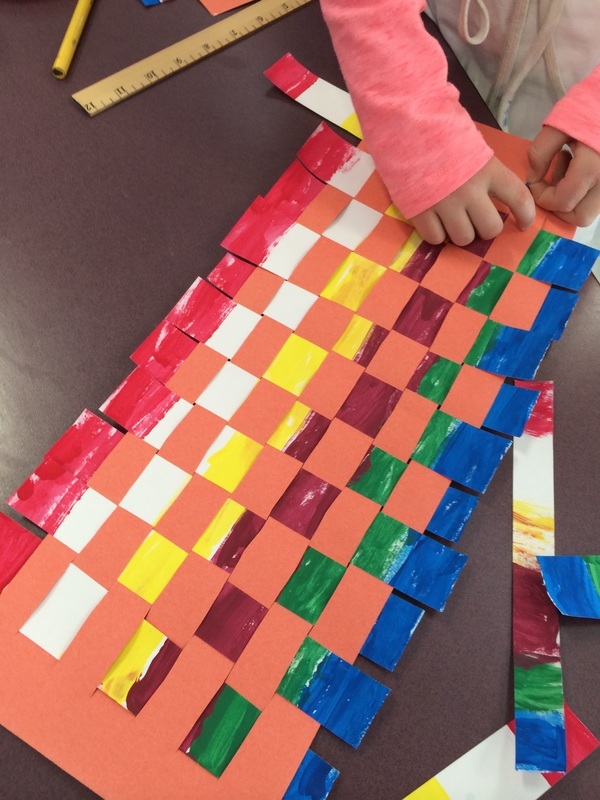 1st graders weaved their weft under and over their warp. 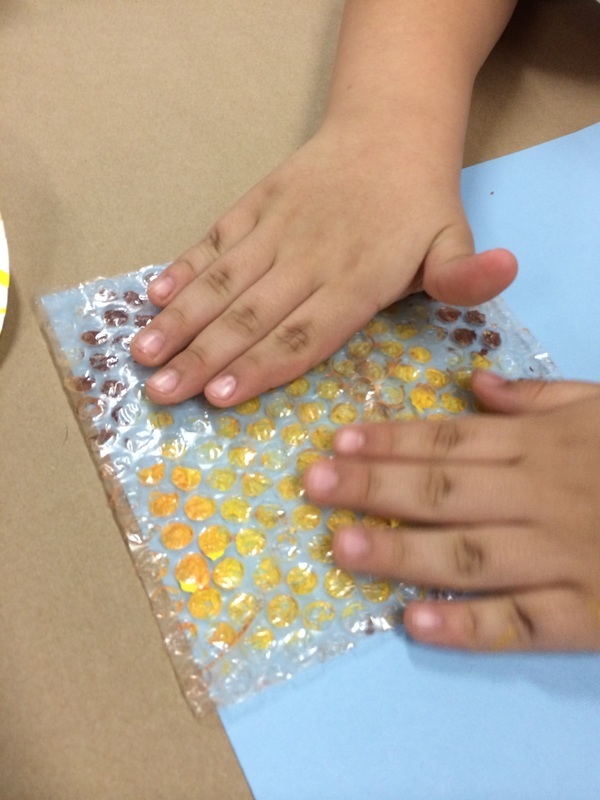 This was not an easy task, weaving for the first time! 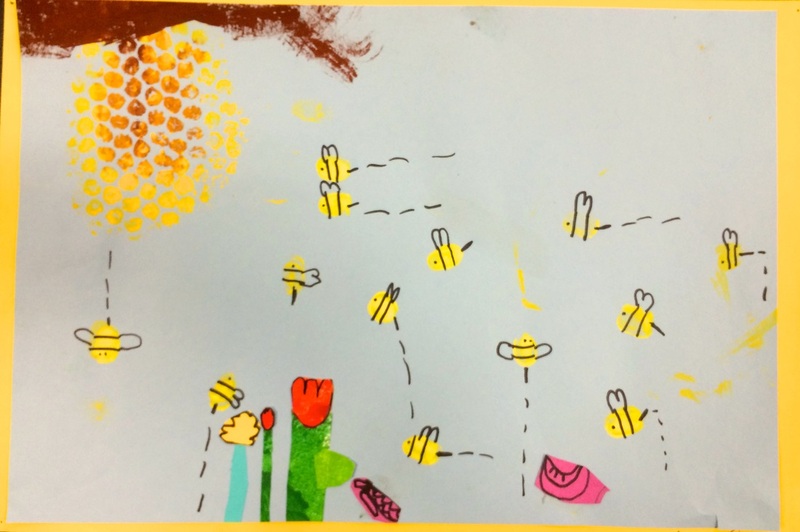 It was a rewarding experience to see the children succeed at this challenge. 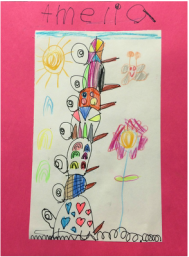 1st graders worked together, helped one another throughout this process and were very proud of their hard work in the end. 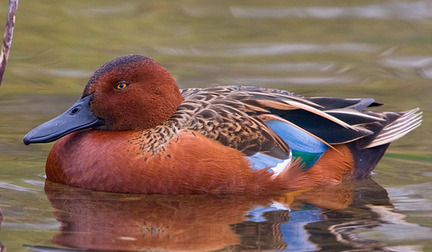 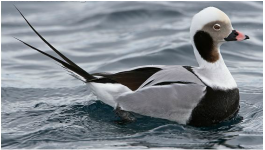 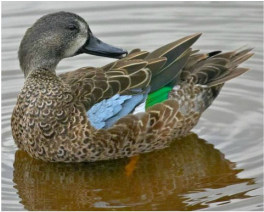 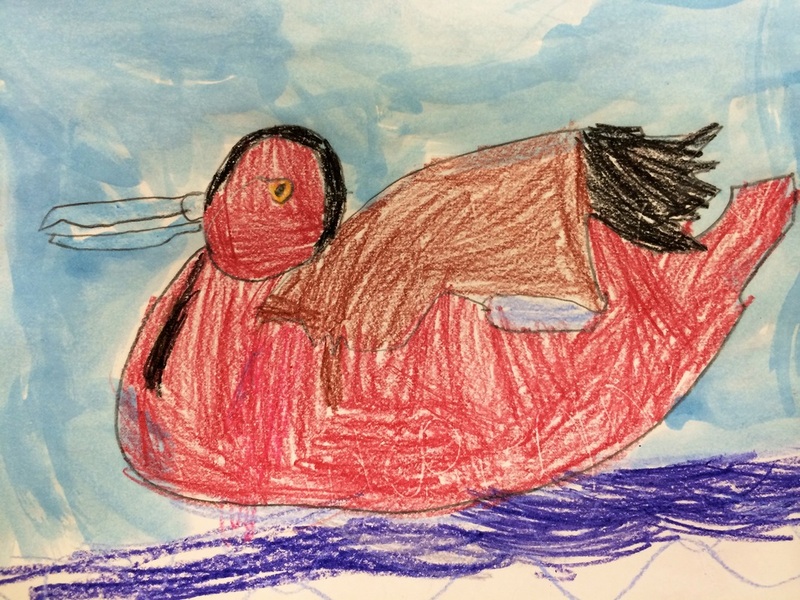 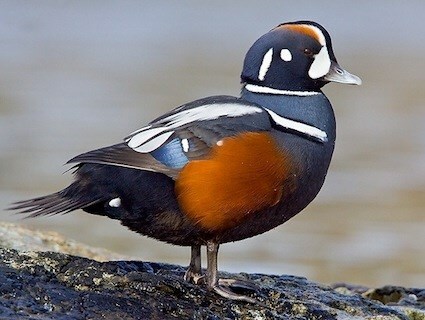 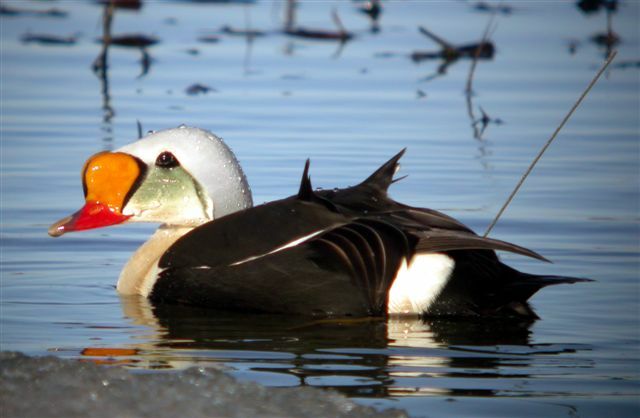 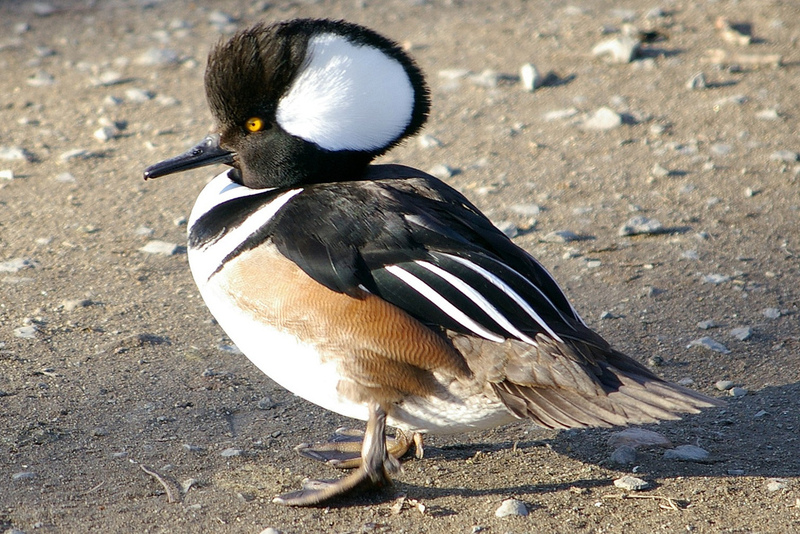 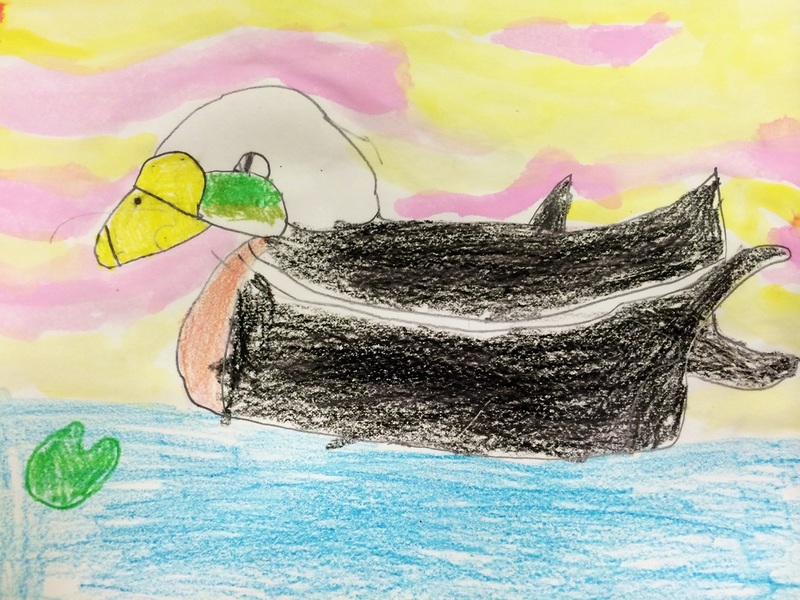 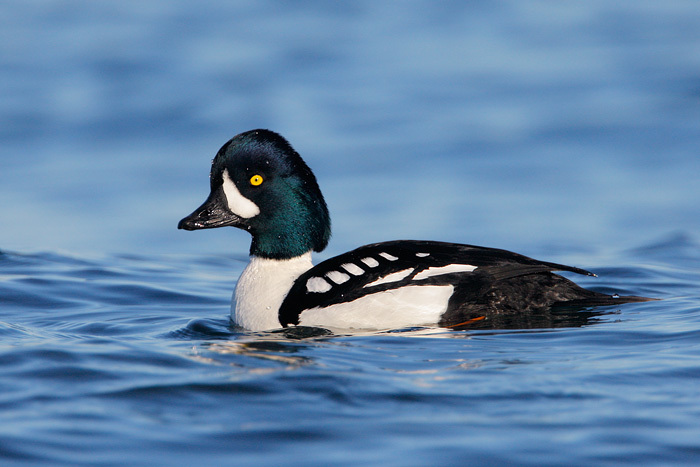 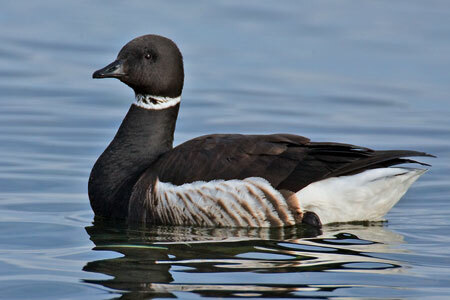 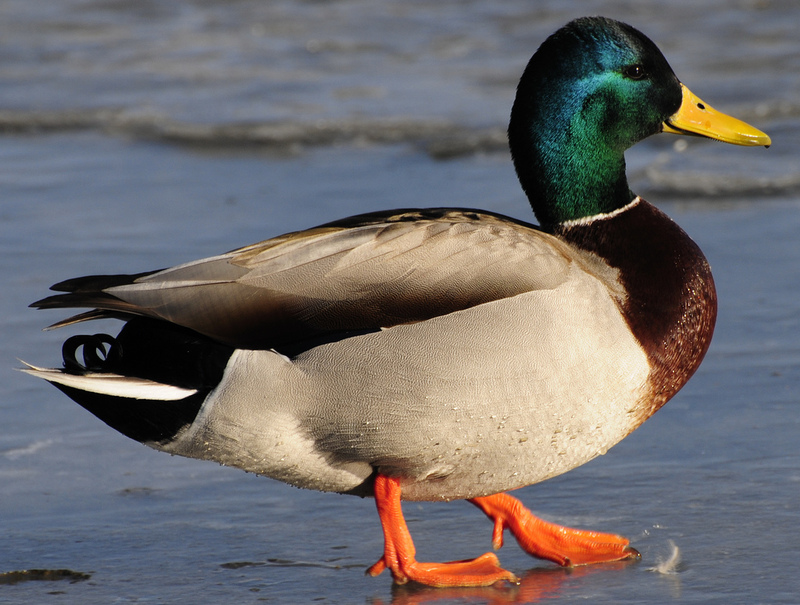 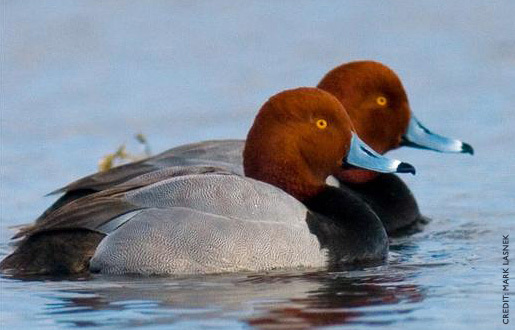 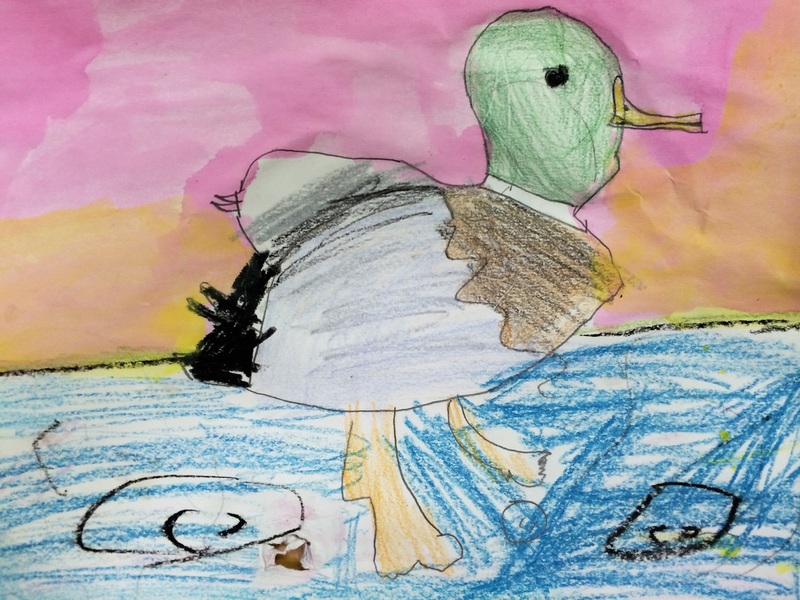 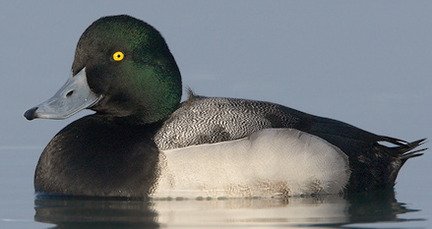 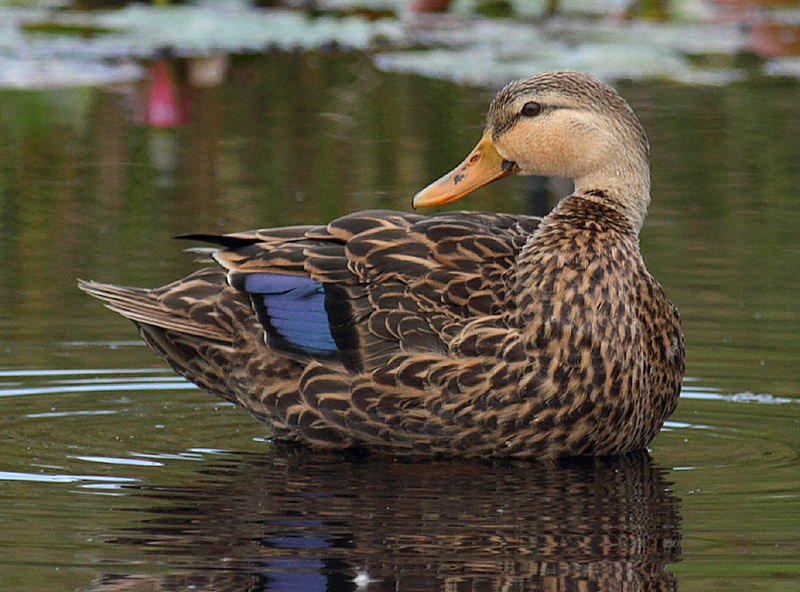 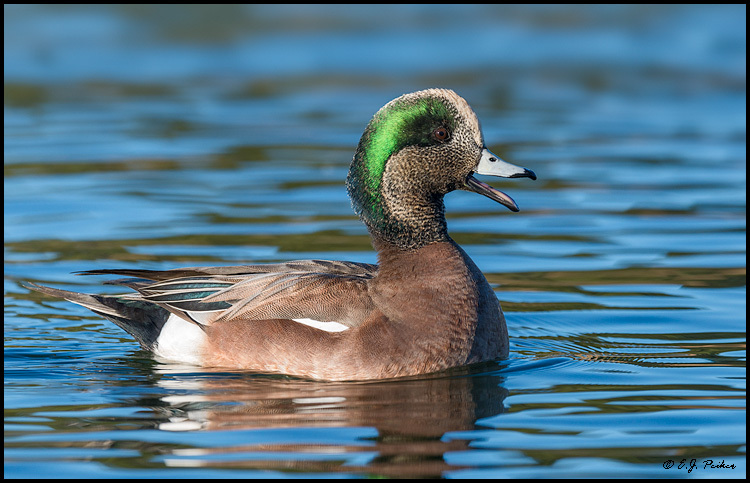 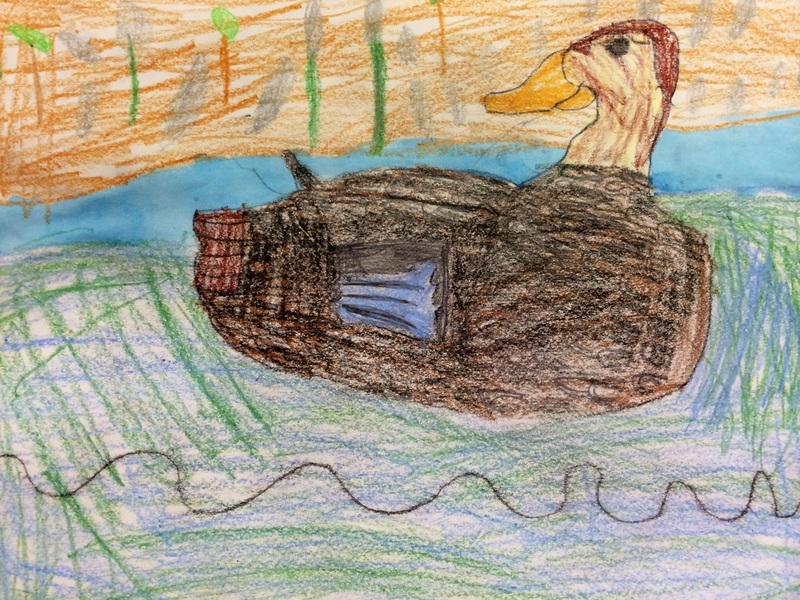 Each Kindergarten and 1st grade class were given one of three male ducks to choose from, together each class compared and contrasted the differences between the three ducks such as bill shape and color, feather patterns, eye color, head shape and color and so on. 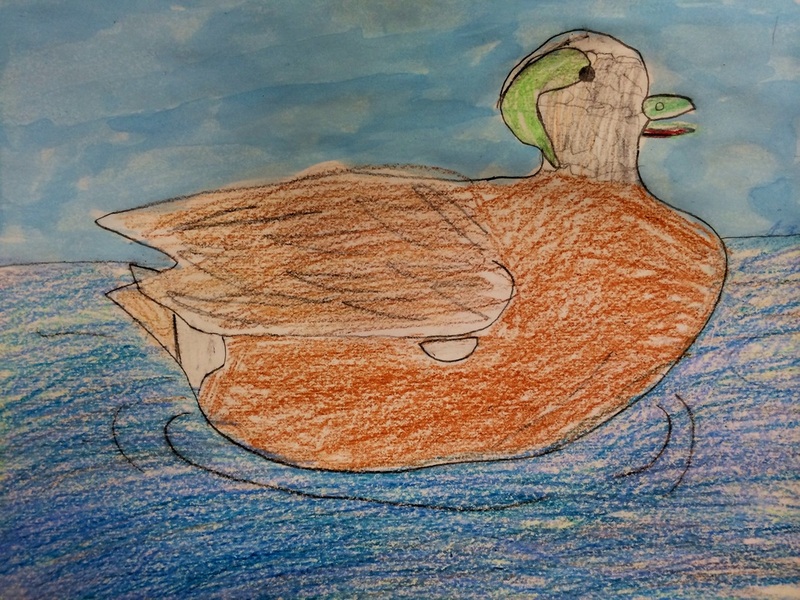 Then we used our best observational skills to draw one of the ducks, adding the details we saw and using realistic colors. 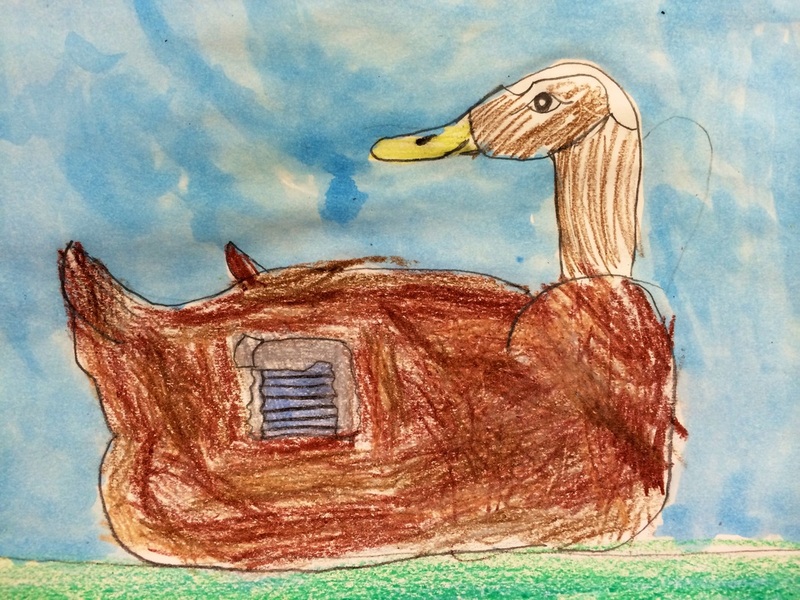 While the children worked on their artwork we listened to the calming sounds of a duck pond. 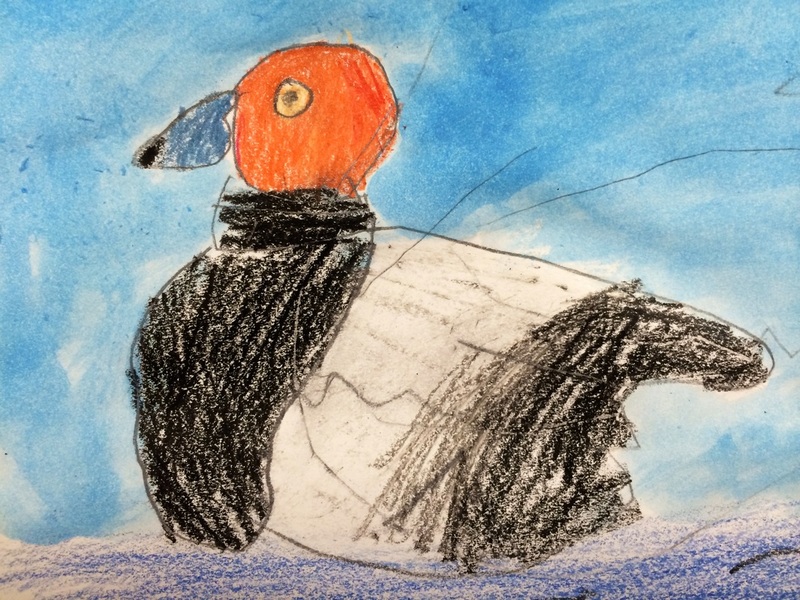 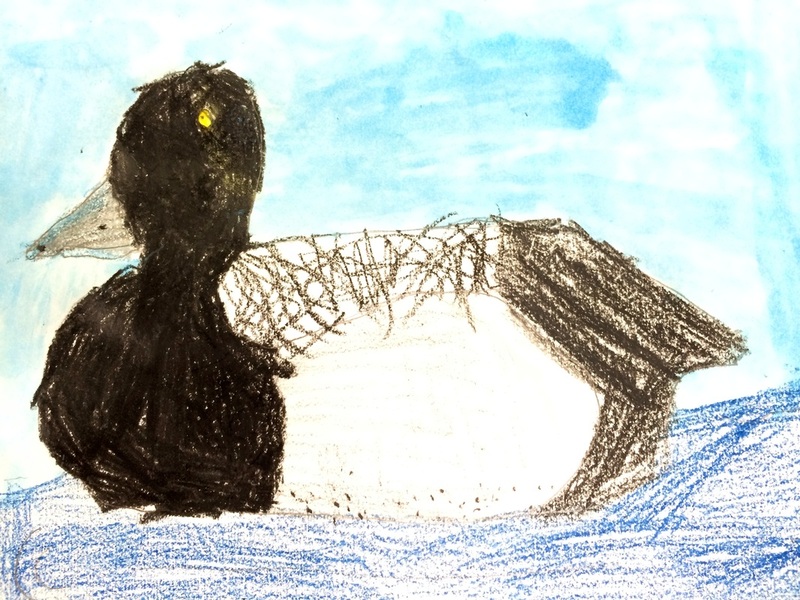 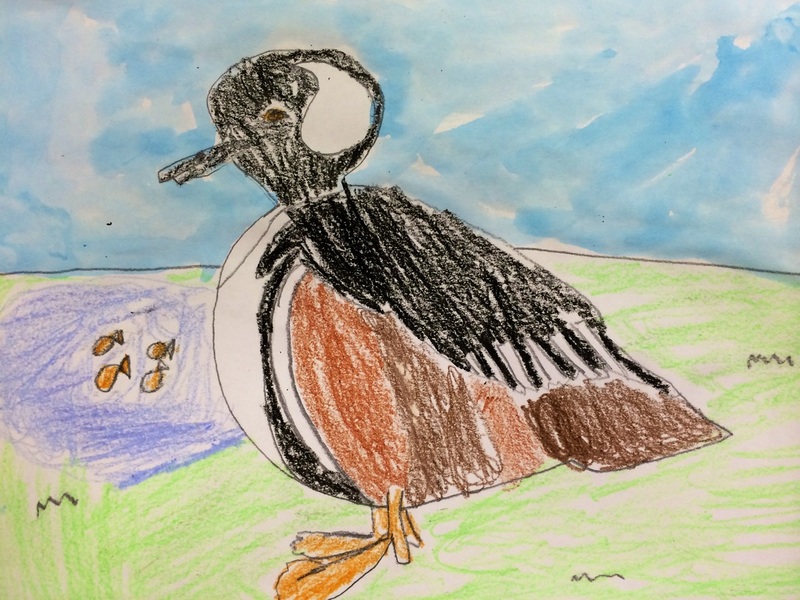 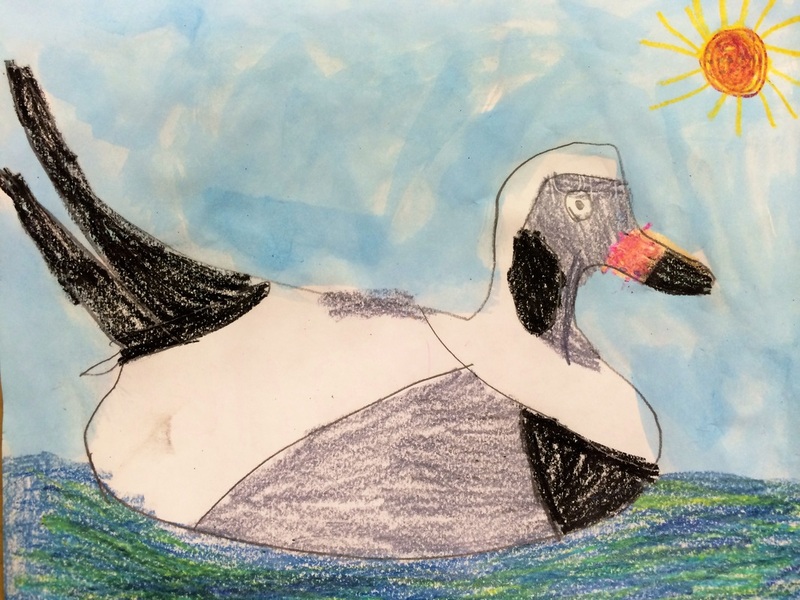 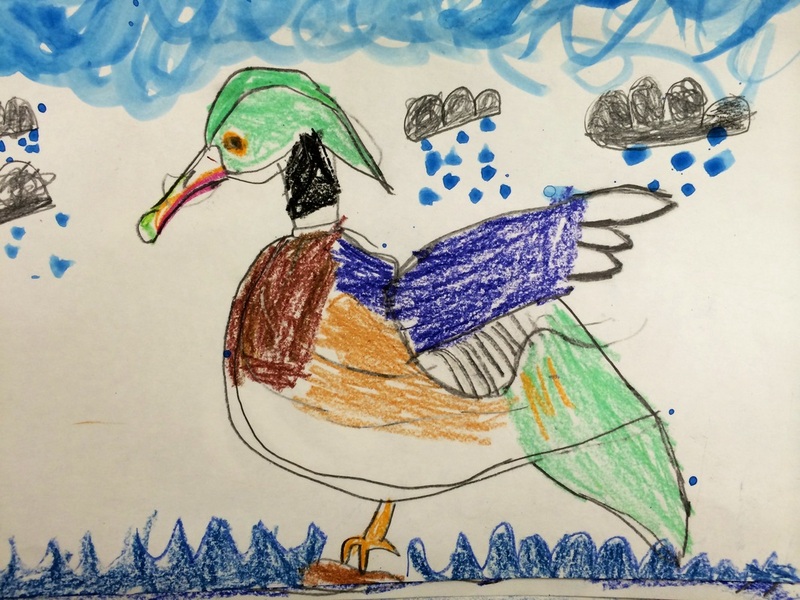 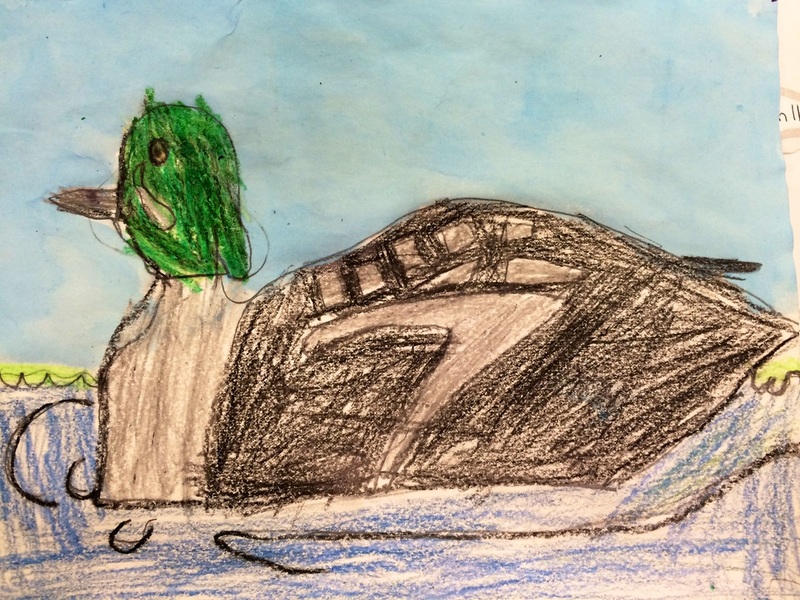 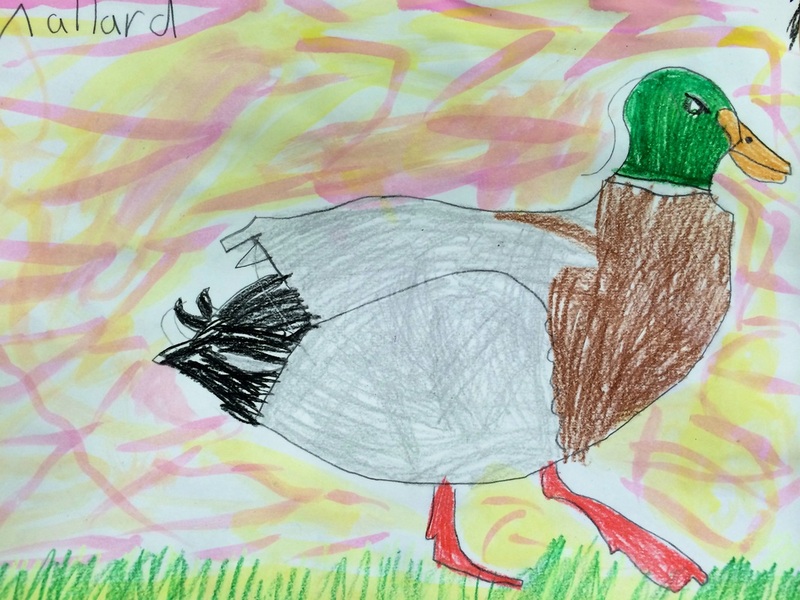 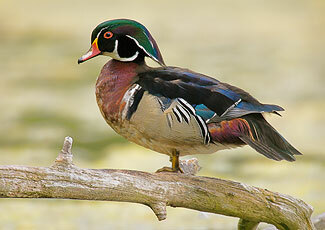 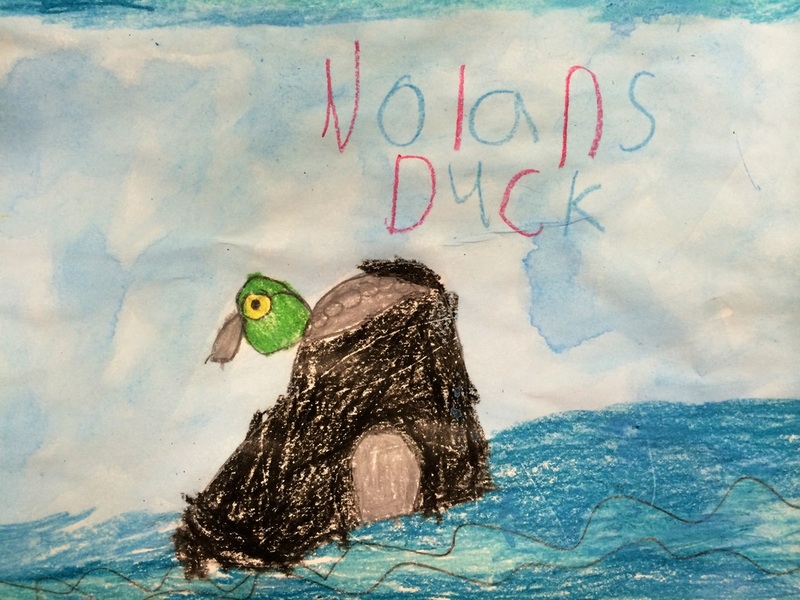 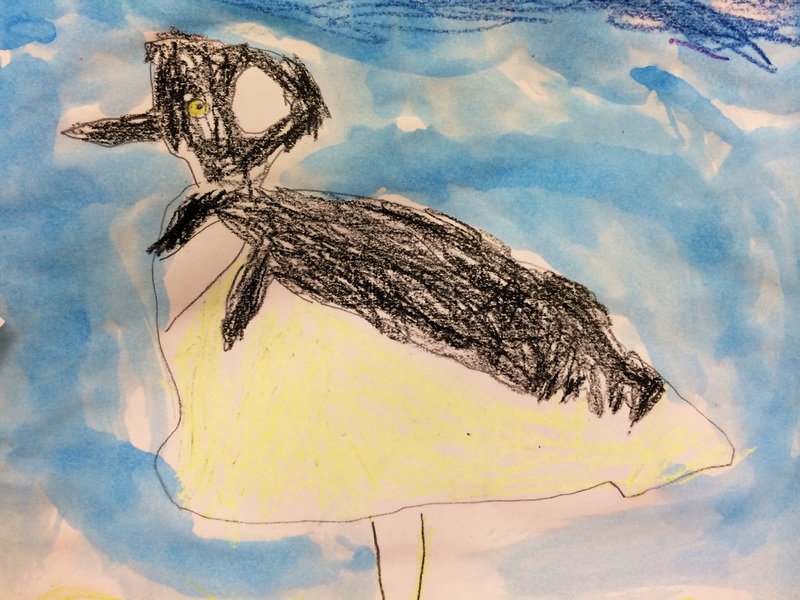 All the students enjoyed learning about different duck species and creating a wonderful piece of art.